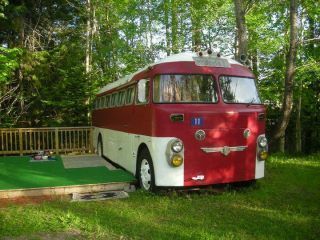 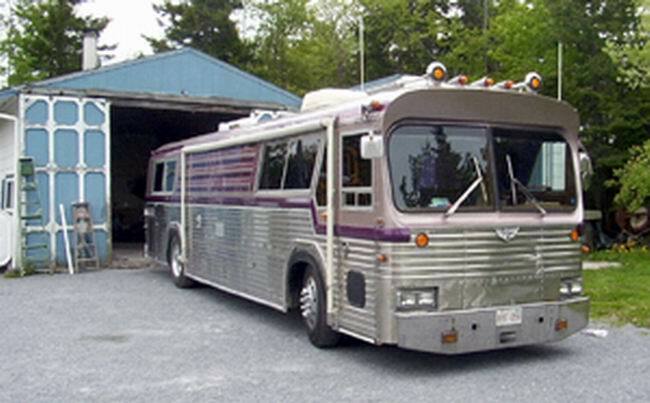 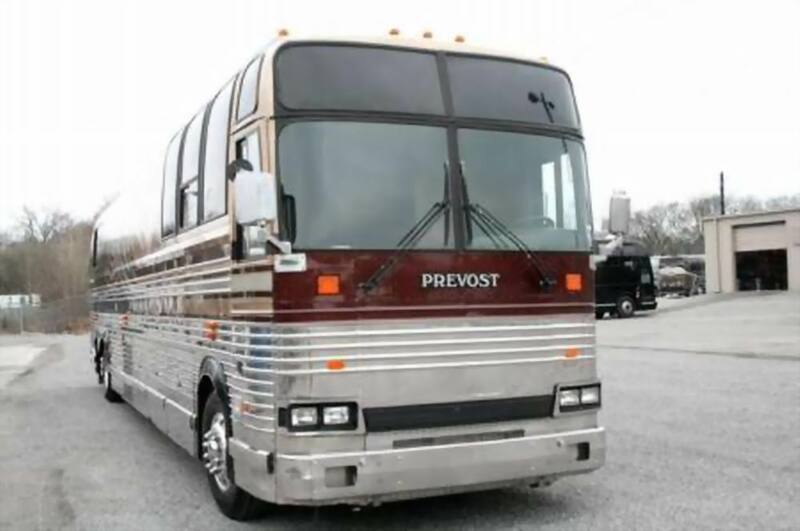 Prévost (pronounced pray-voh; the -st is silent) is a Quebec, Canada-based manufacturer of touring coaches and bus shells for high-end motorhomes and specialty conversions. 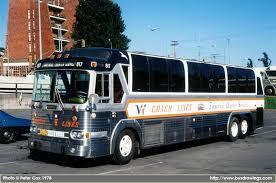 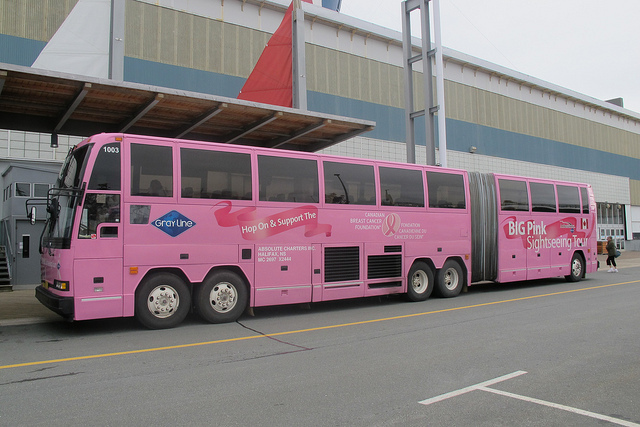 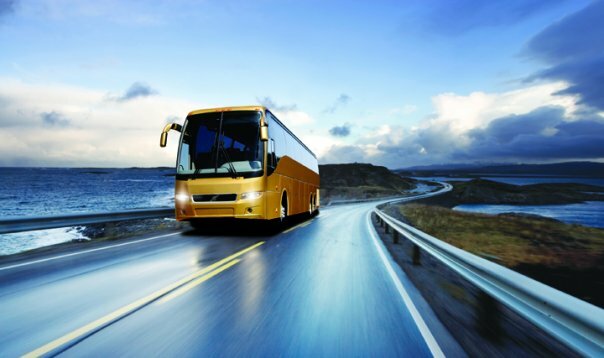 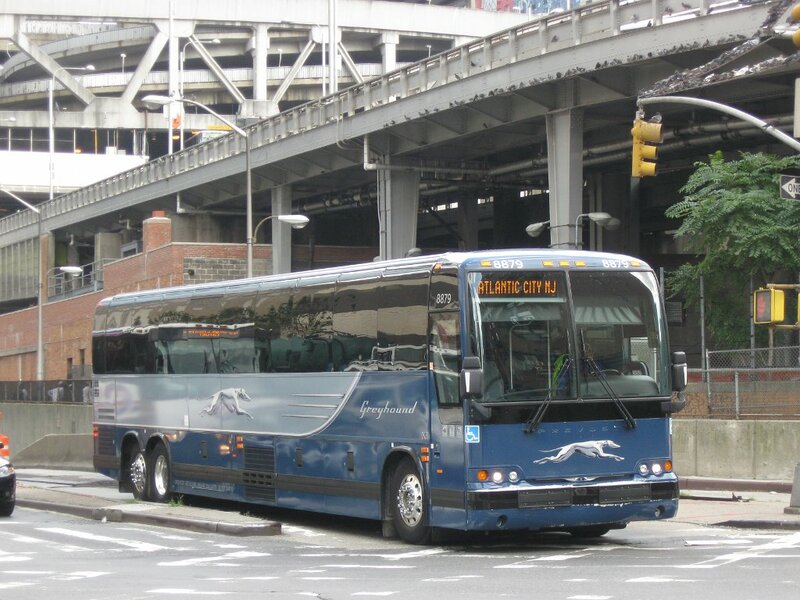 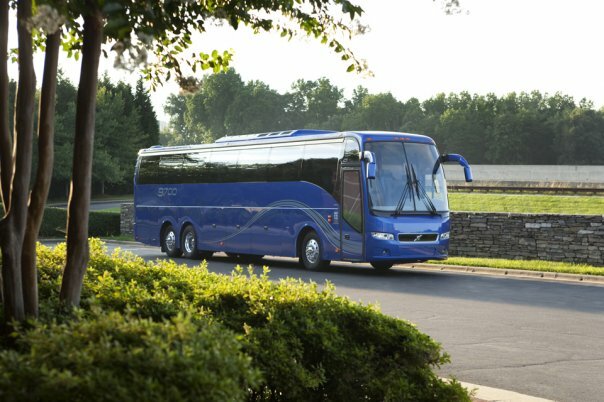 The company now owns Nova Bus and in turn is owned by Volvo Bus Corporation. 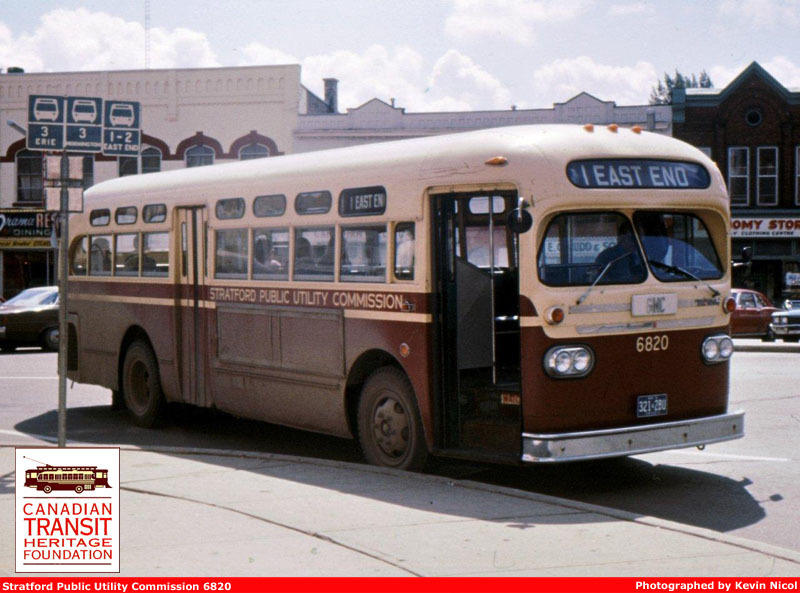 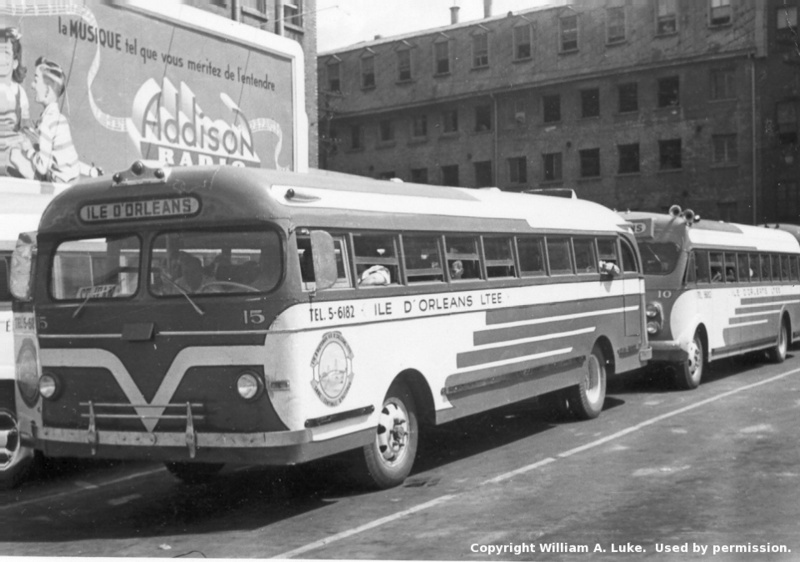 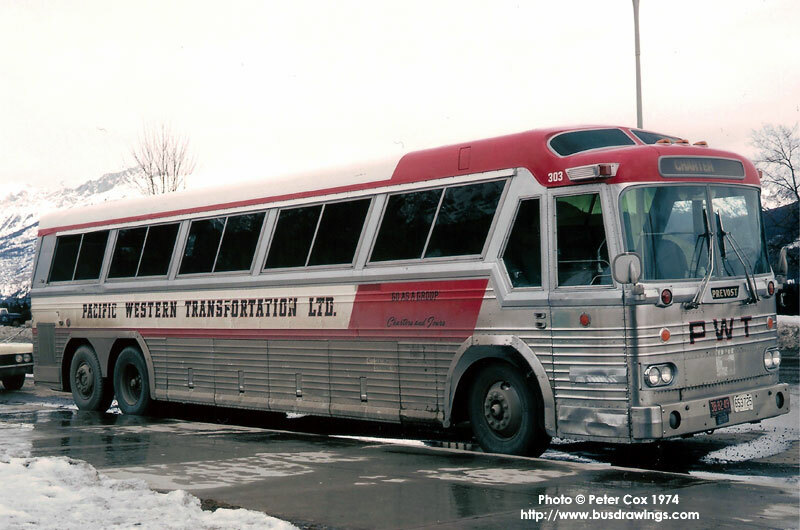 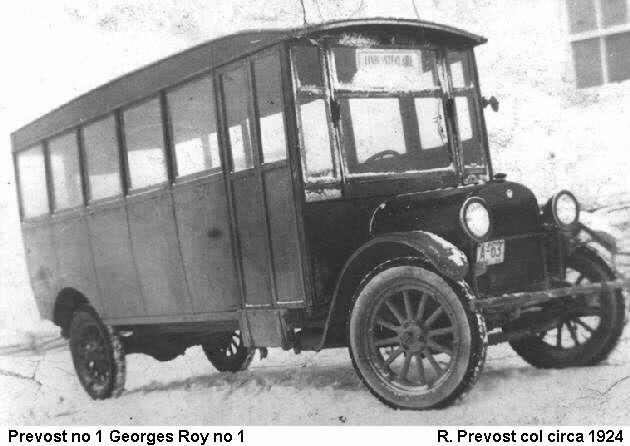 The company was first founded in 1924 by Eugène Prévost (1898–1965), a cabinet maker specializing in church pews and school furniture, who in 1924 was asked to build a custom bus body for a new REO truck chassis. 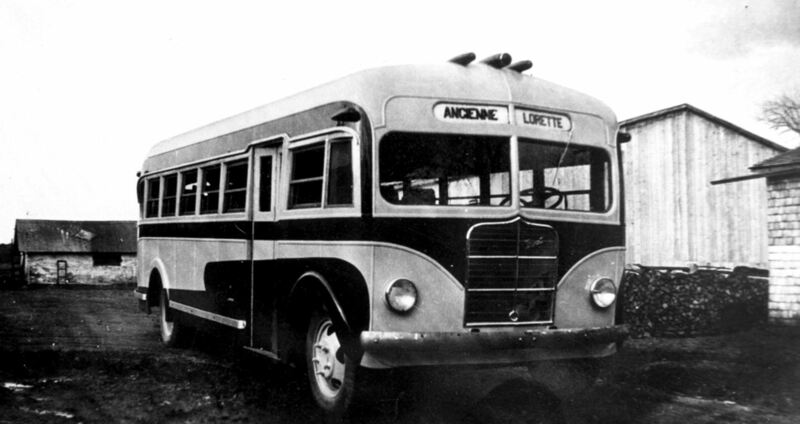 Les Ateliers Prévost, as the company was then called, received several repeat orders. 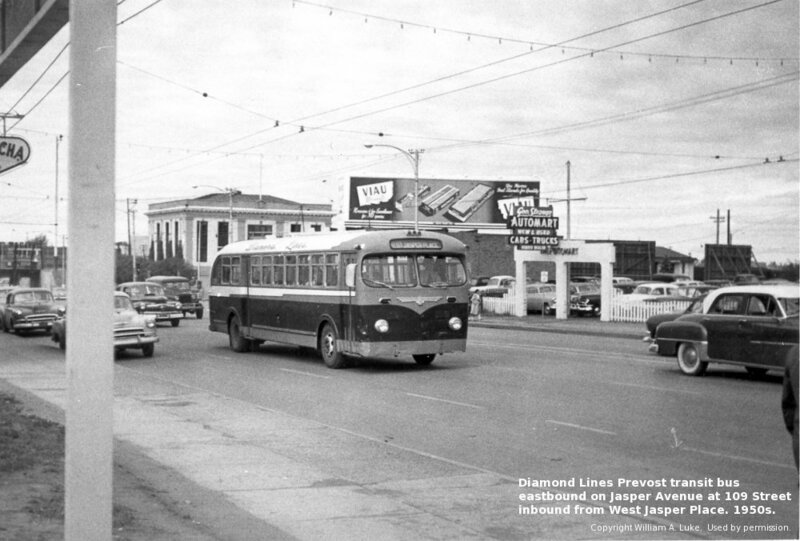 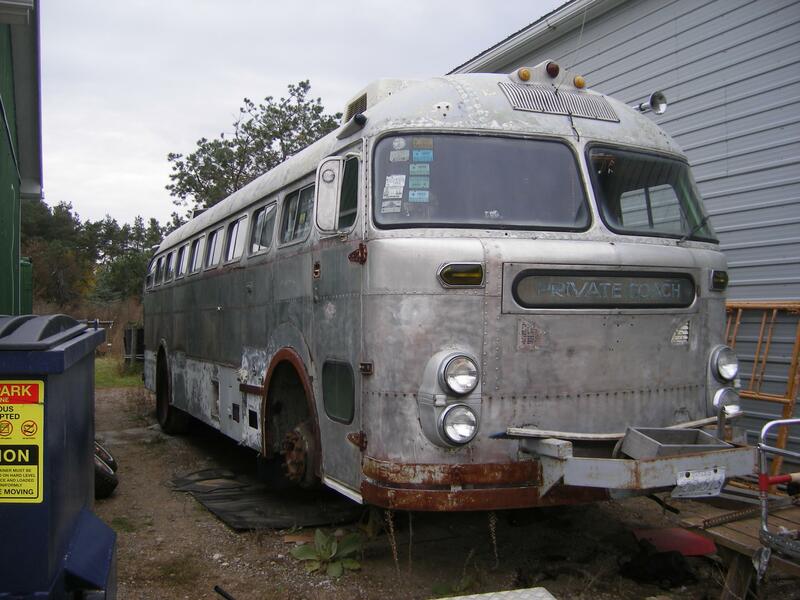 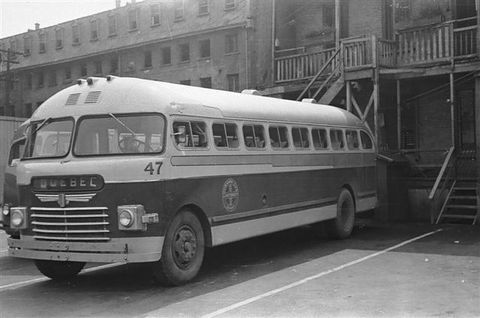 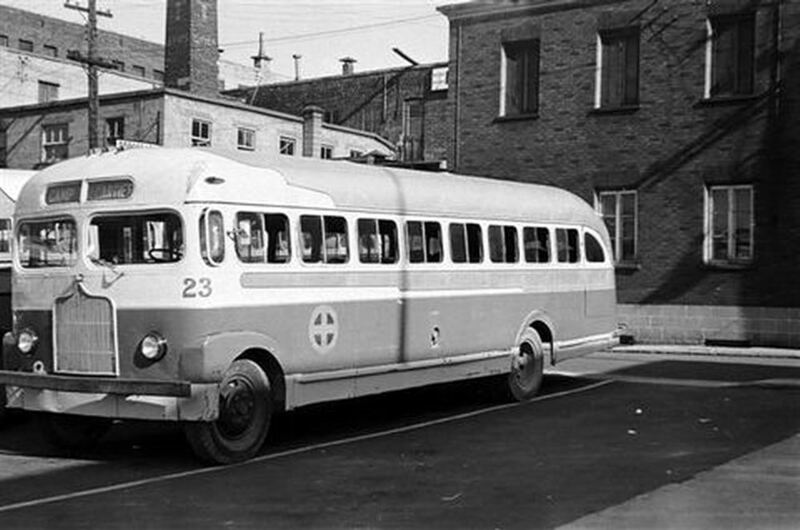 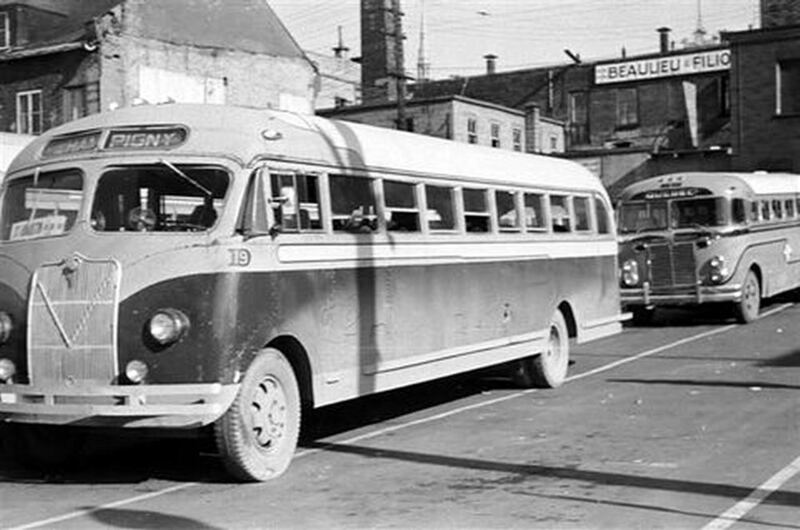 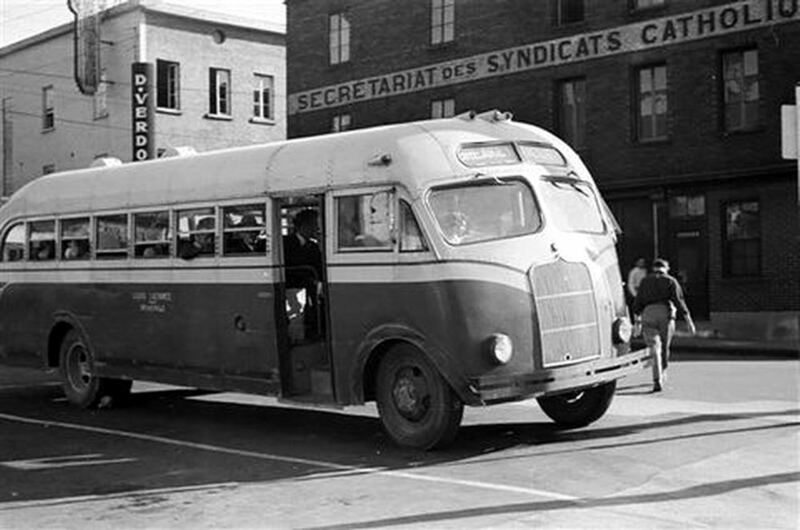 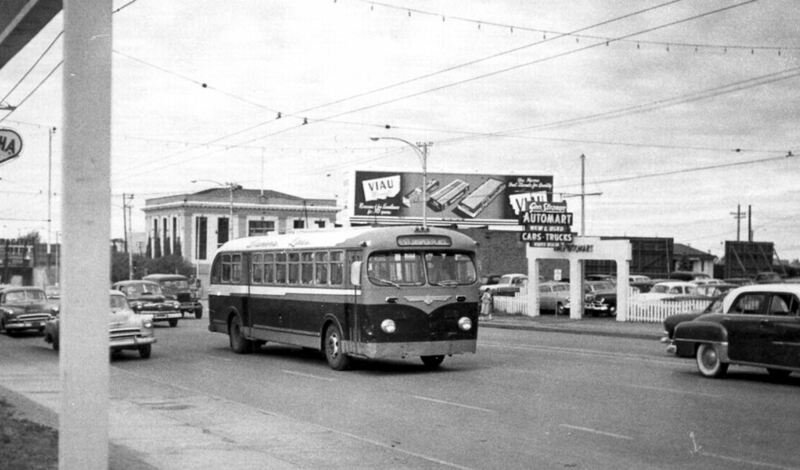 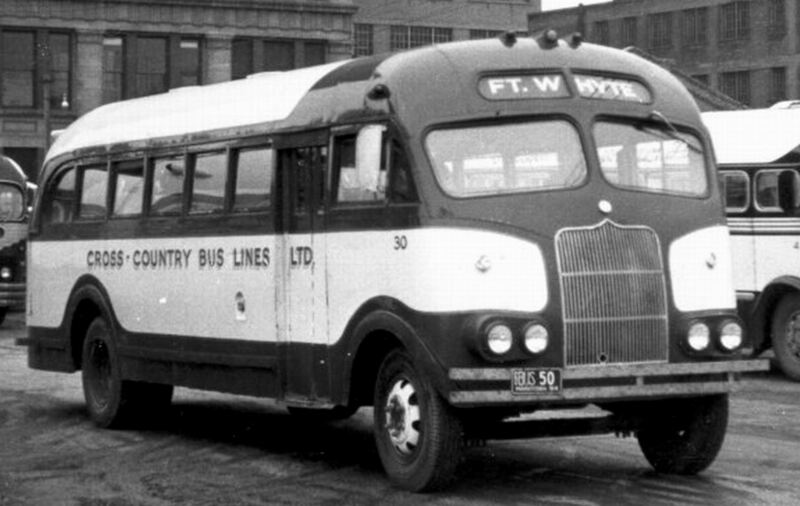 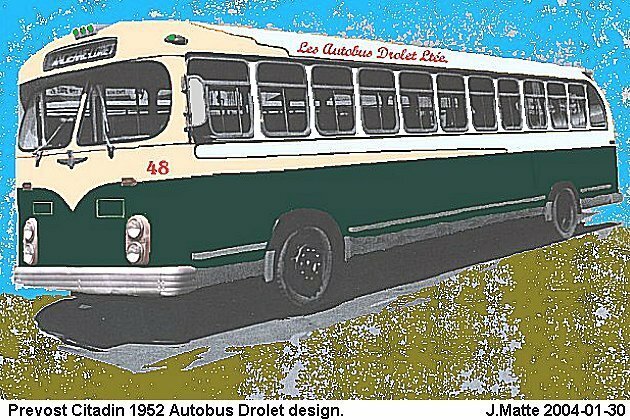 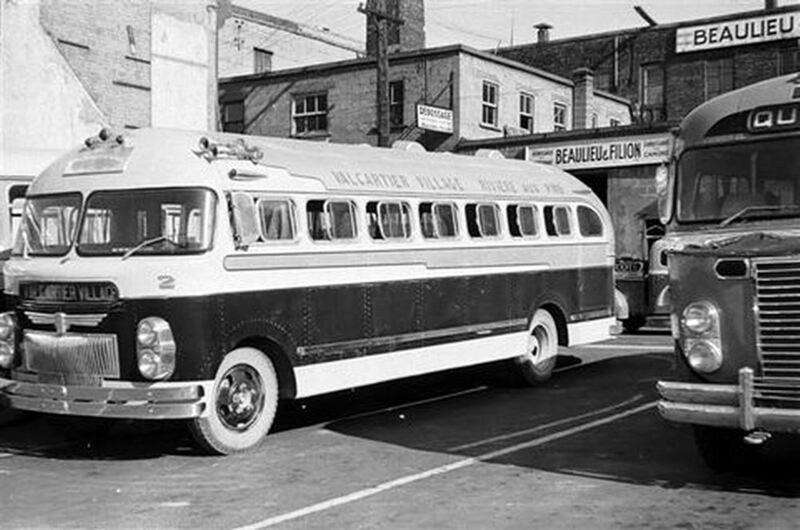 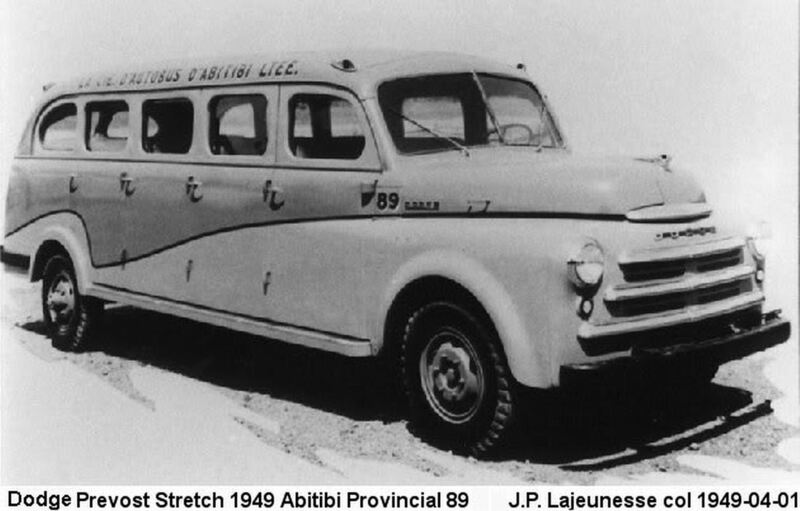 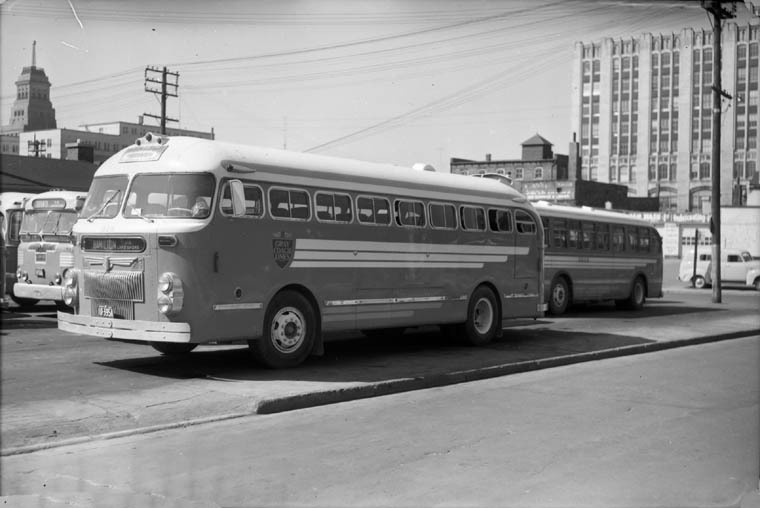 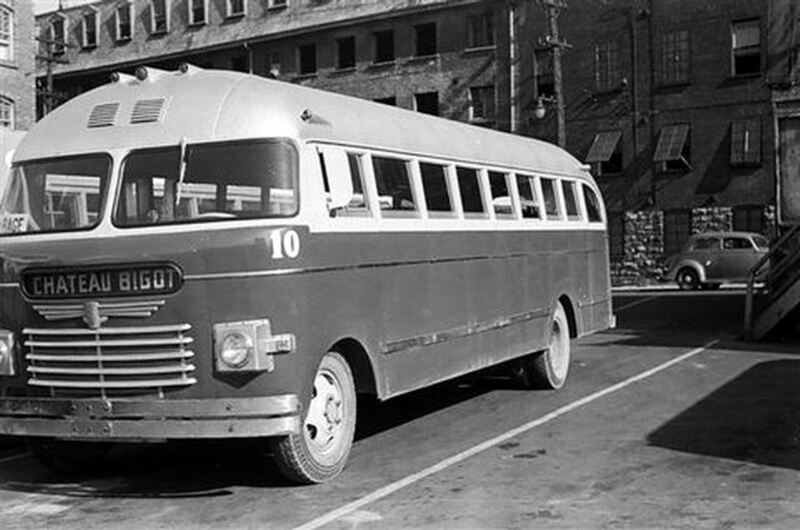 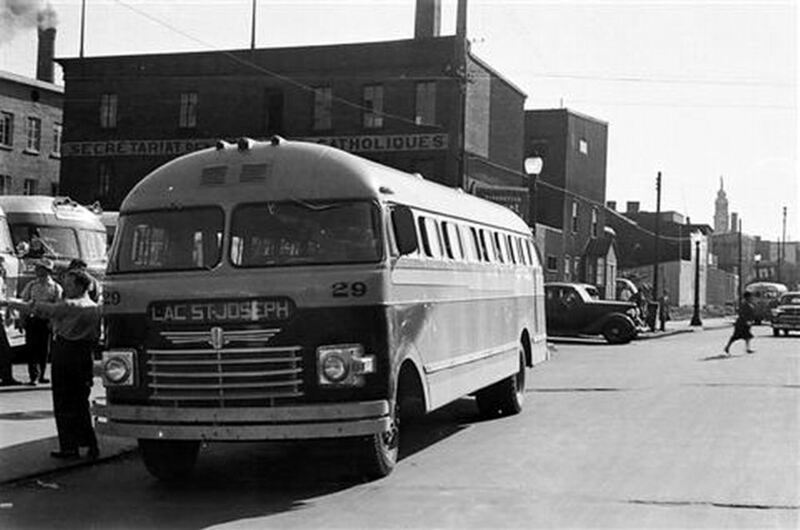 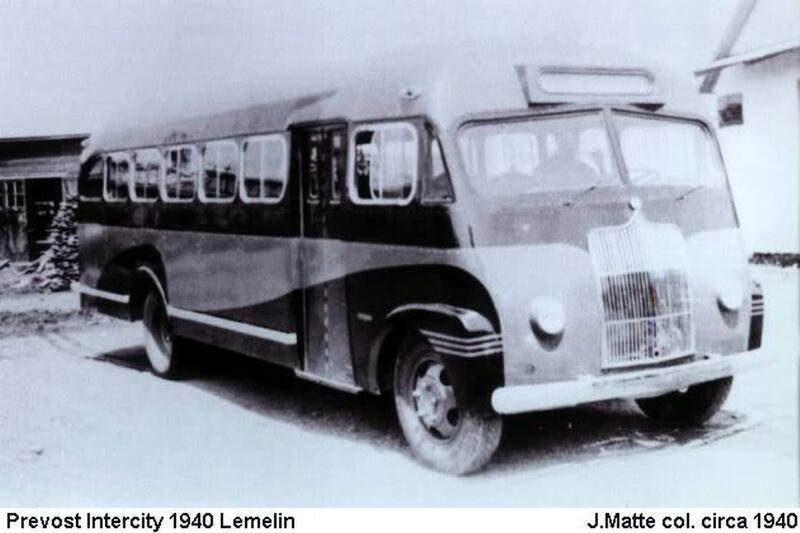 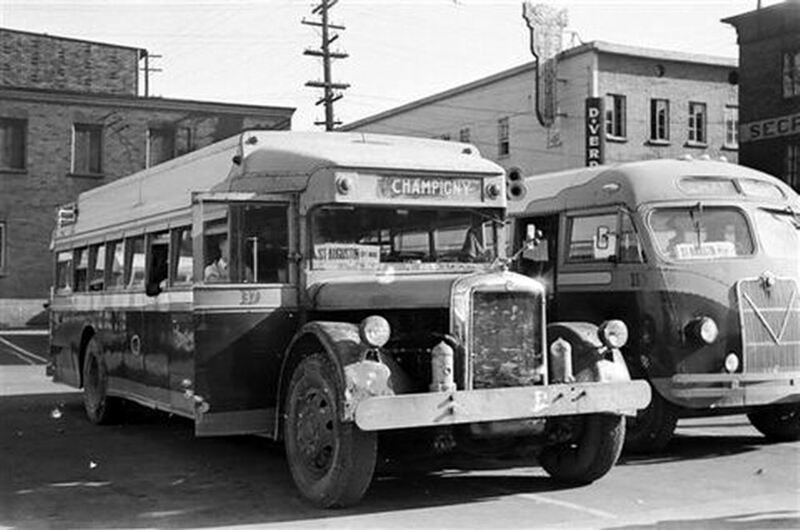 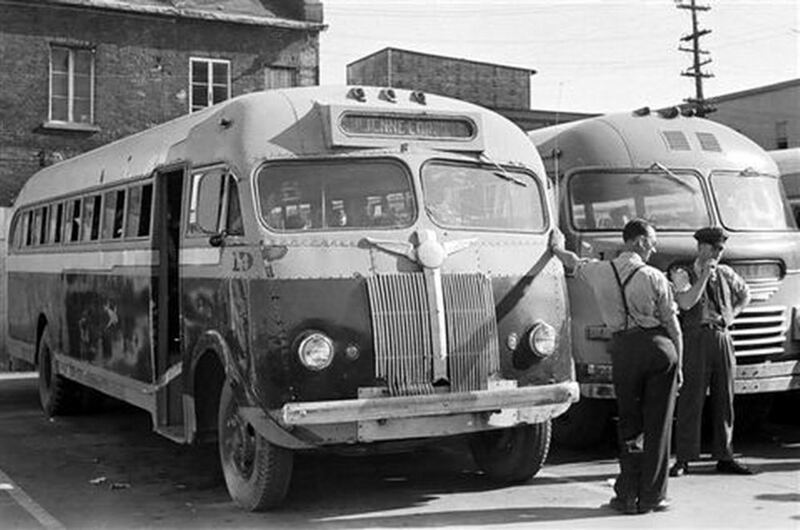 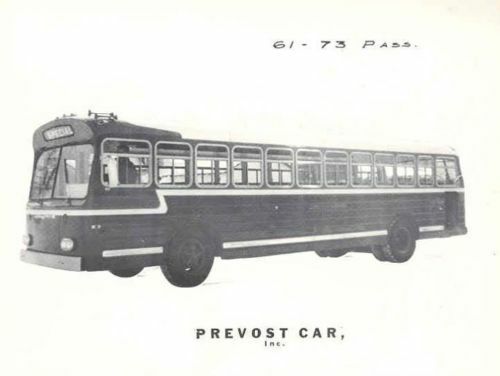 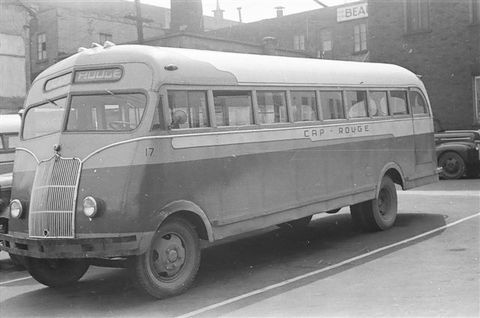 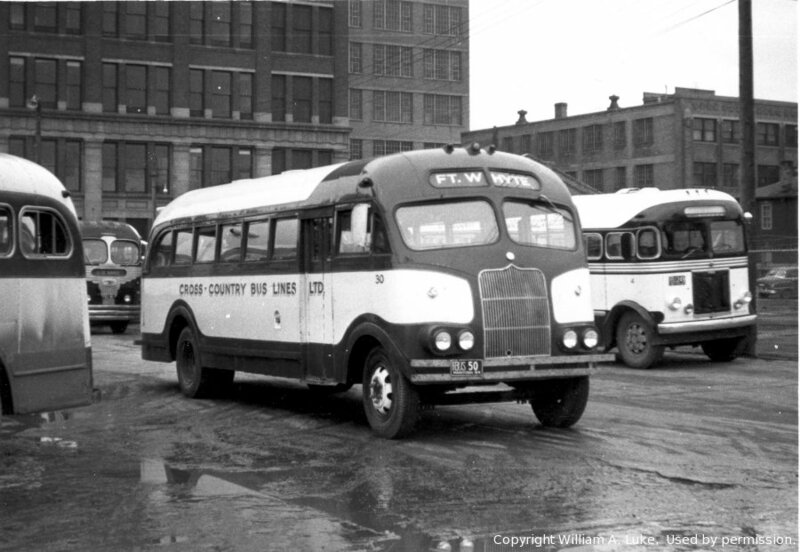 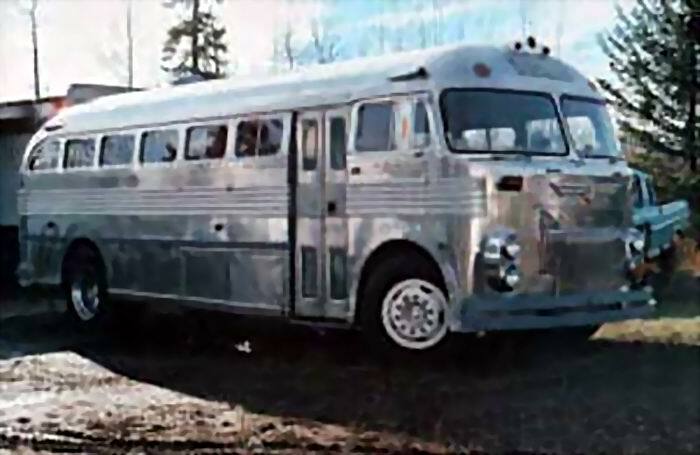 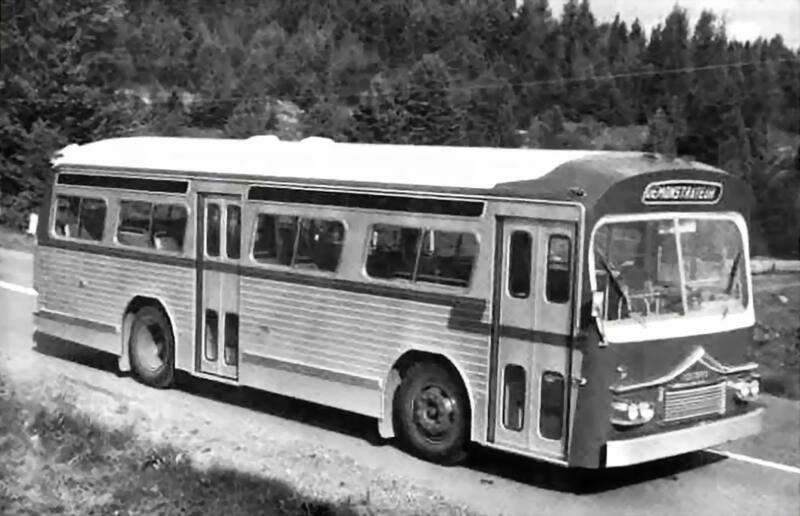 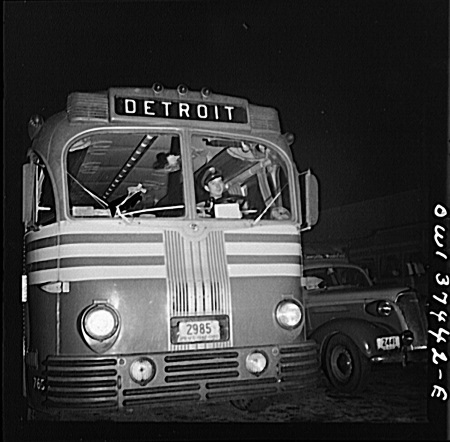 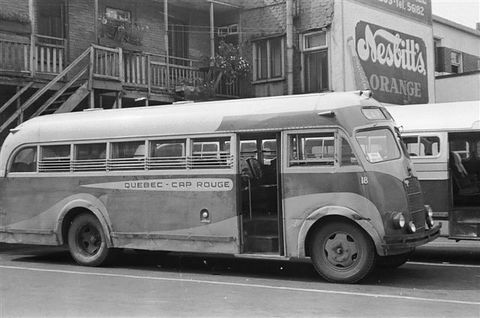 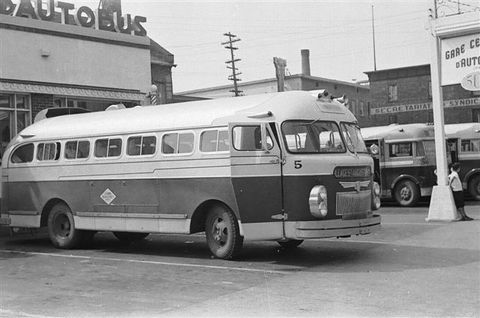 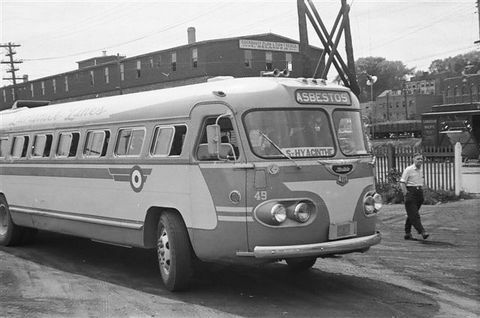 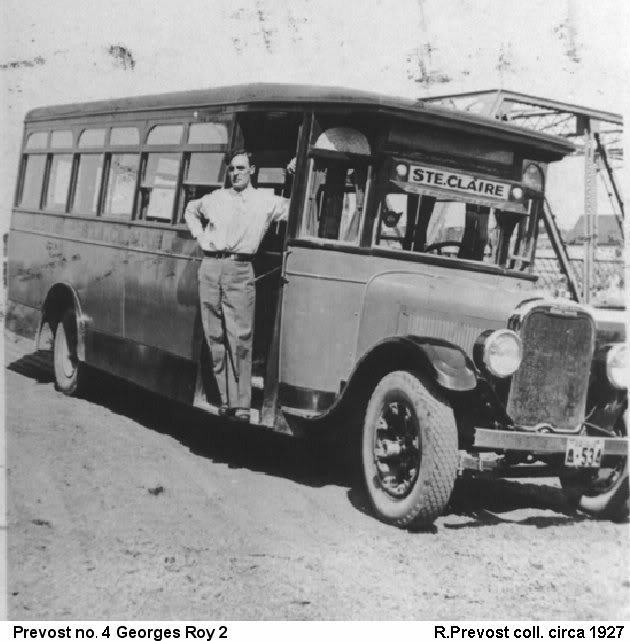 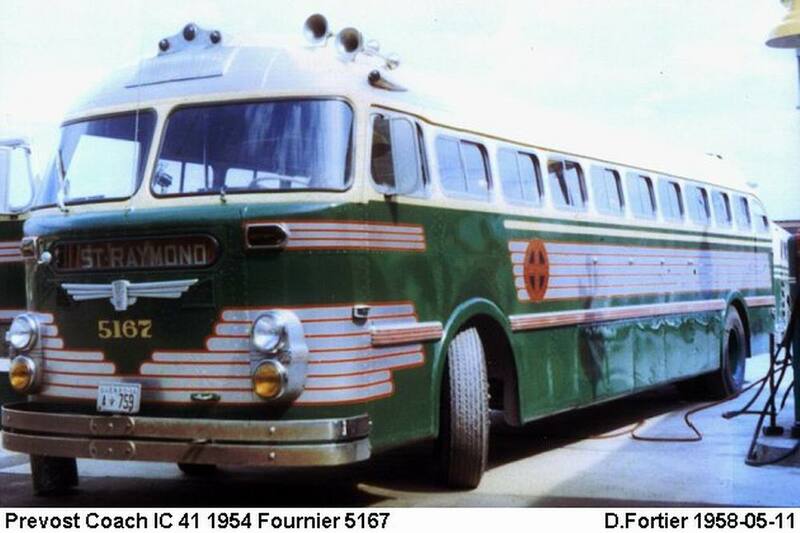 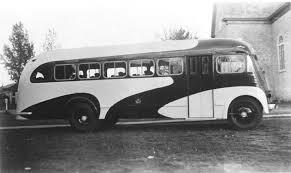 Between 1937 and 1939, Prévost Car’s first bus manufacturing plant was built. 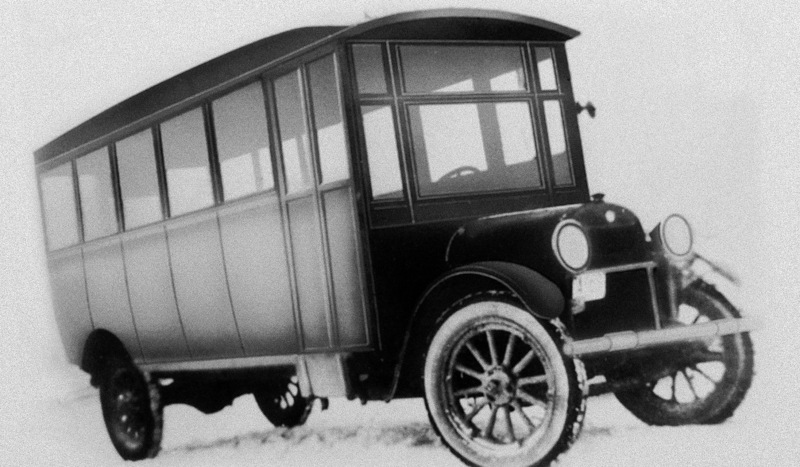 Initially the vehicles were built around a wooden frame. 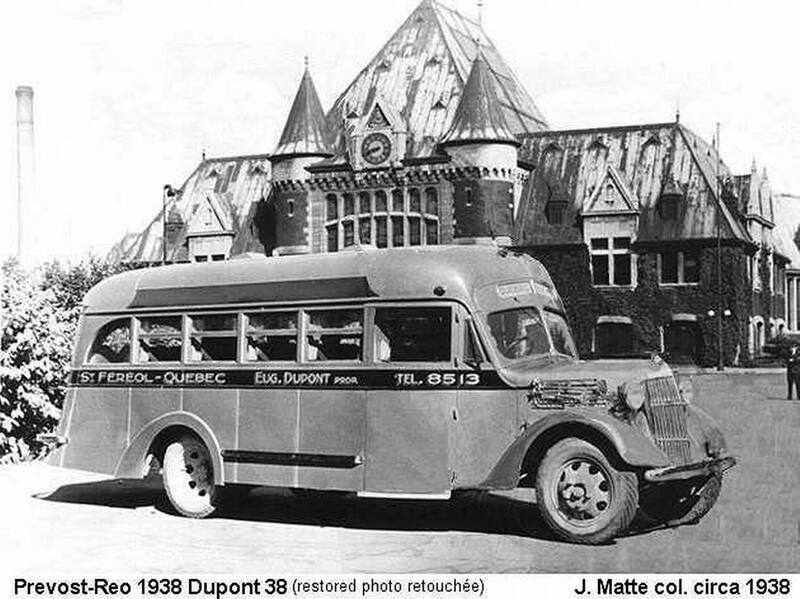 In 1945 this changed, and bodies were made of metal. 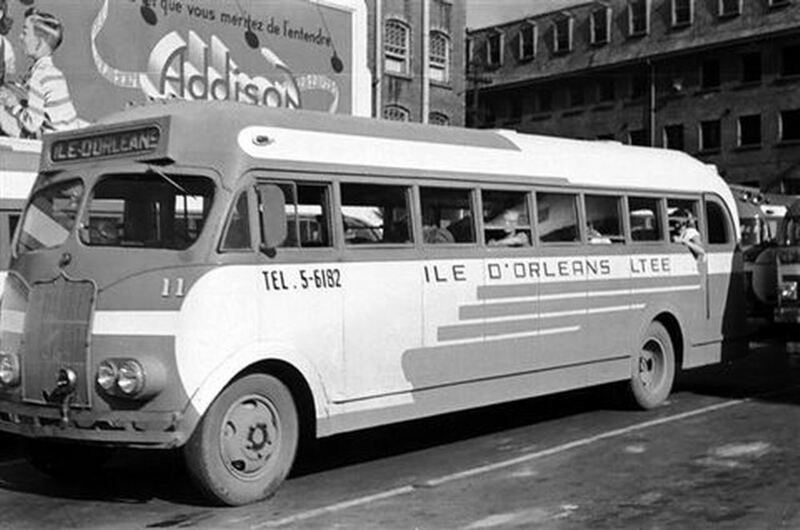 The company was acquired by Paul Normand in 1957. 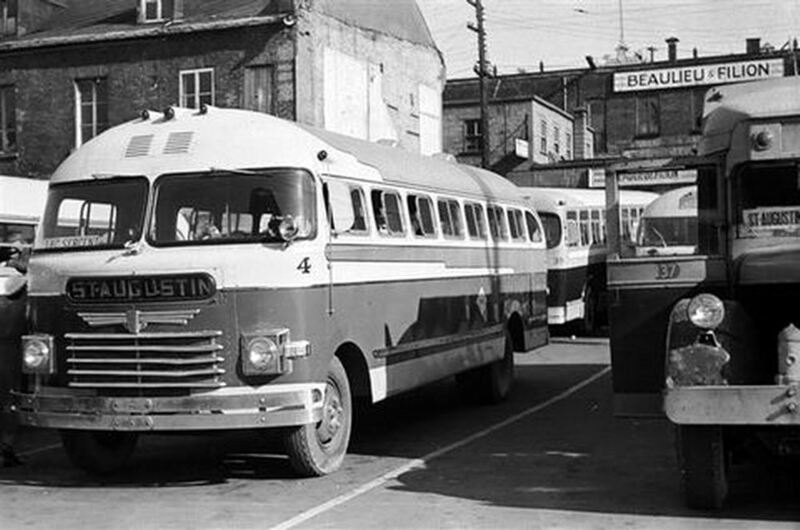 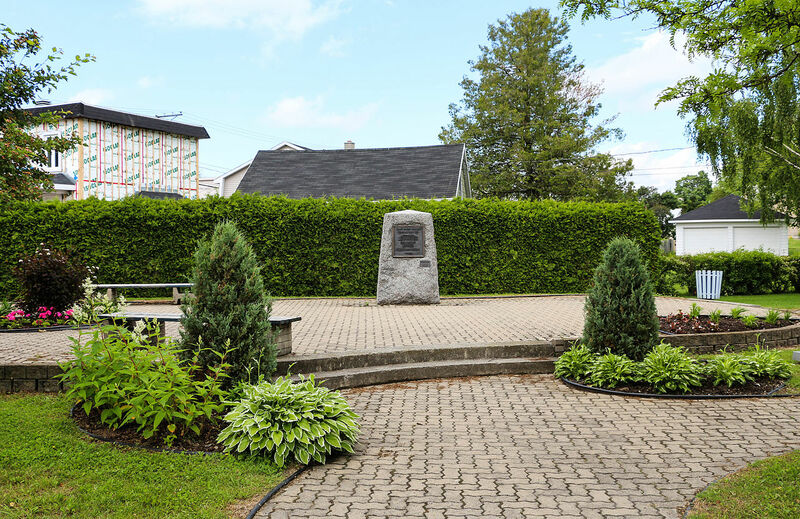 In 1969, two American businessmen formed a partnership with André Normand, then President of Prévost, to become the company’s owners. 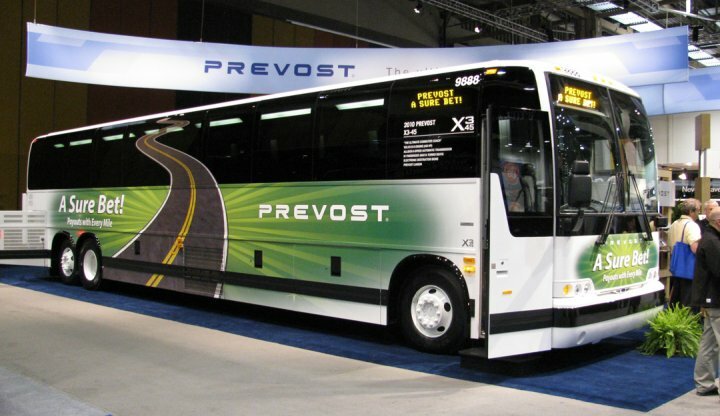 These three men, in turn, sold Prévost to Volvo Bus Corporation in 1995. 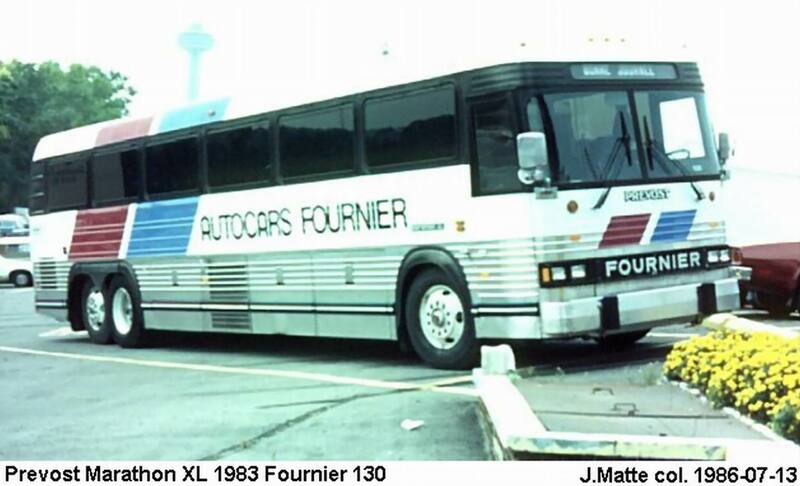 As of February 2007, the firm has 1,337 employees and operates six parts and service centres in North America. 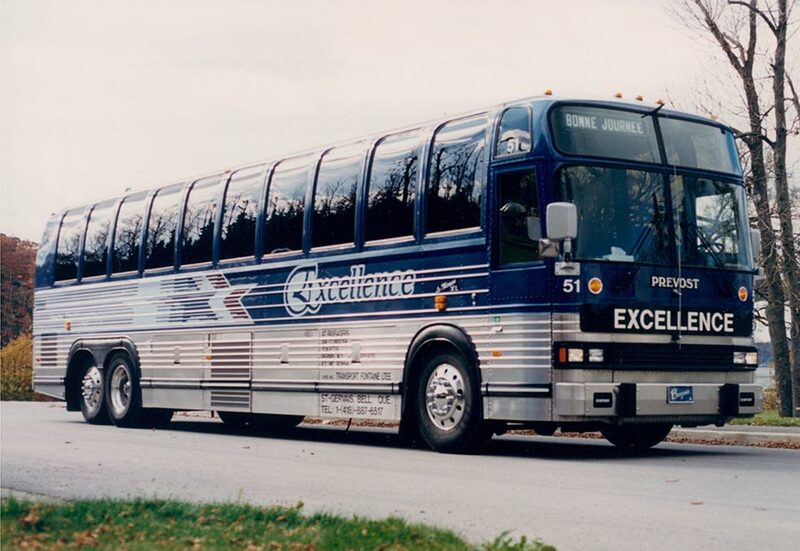 The latest models saw the XLII thoroughly revised, with a longer wheelbase for more storage and a smoother ride. 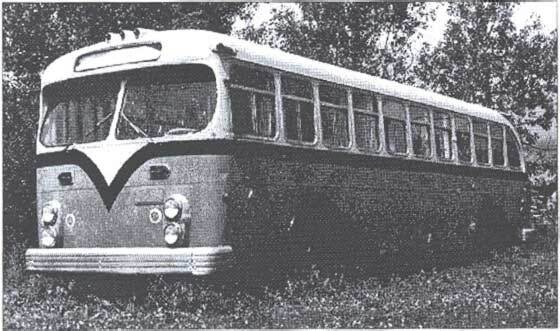 This, and other changes, marked the beginning of the new X3-45. 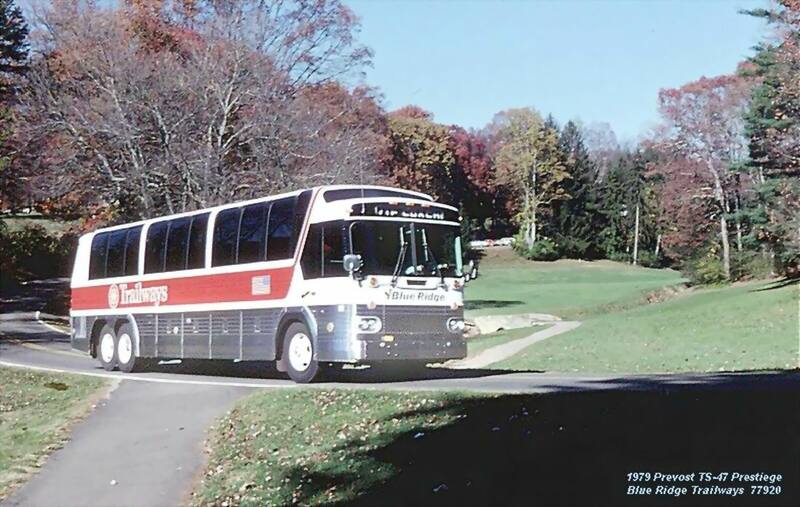 The flagship H3-45 received some further enhancements in 2006 with GPS and destination sign options. 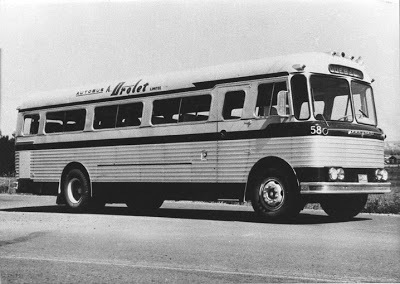 In addition, the new Delta sound system was developed to provide improved sound throughout the cabin. 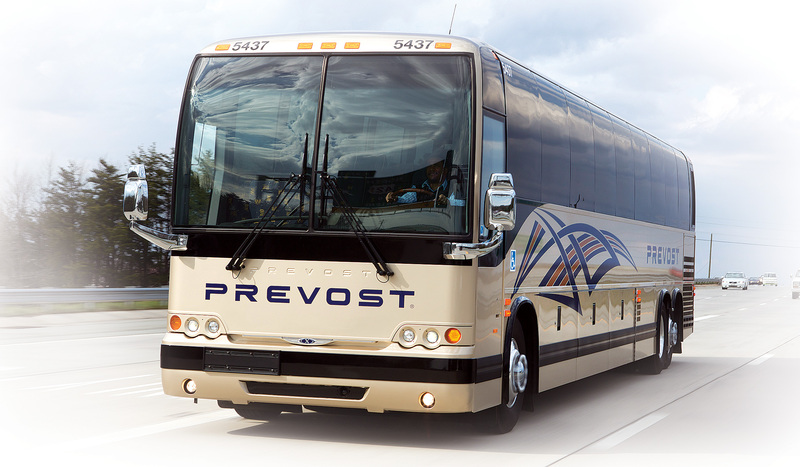 For the new EPA 2007 Standards, Prévost now offers an innovative installation of the Diesel Particulate Filter and the Rooftop Diffuser for Increased Safety, Performance, Serviceability and Security. 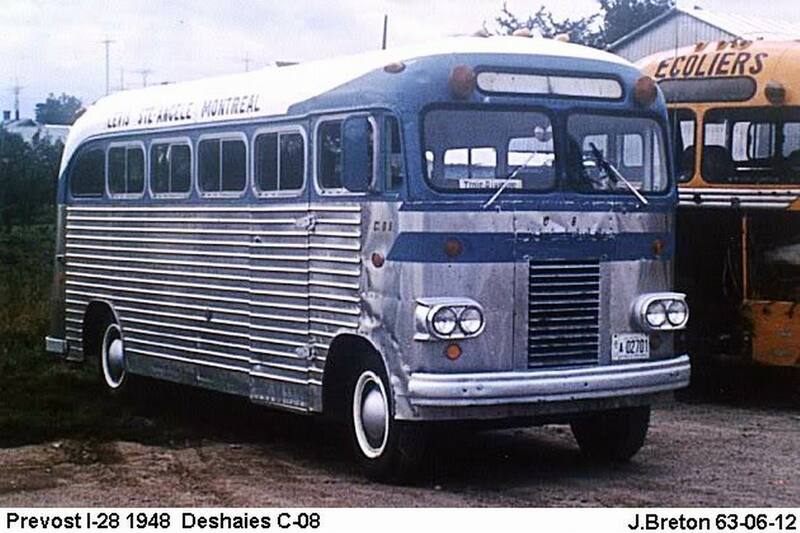 The standard Detroit Diesel has been uprated from 12.7 litres to 14 litres for the model year 2007. 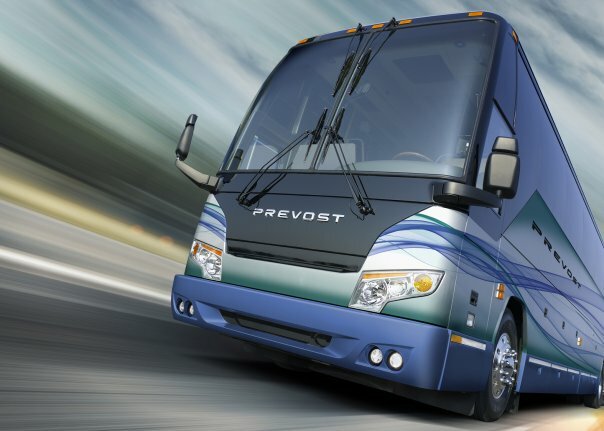 For the 2008 model year, Prévost introduced a new Volvo D13 engine from their parent company as a replacement for the then-current Detroit Diesel Series 60 offering. 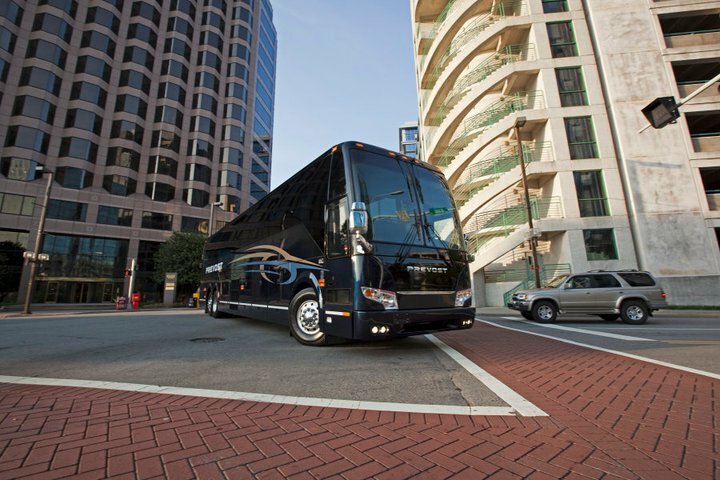 The Volvo I-Shift semiautomatic transmission was introduced as an option to the Allison B500R transmission. 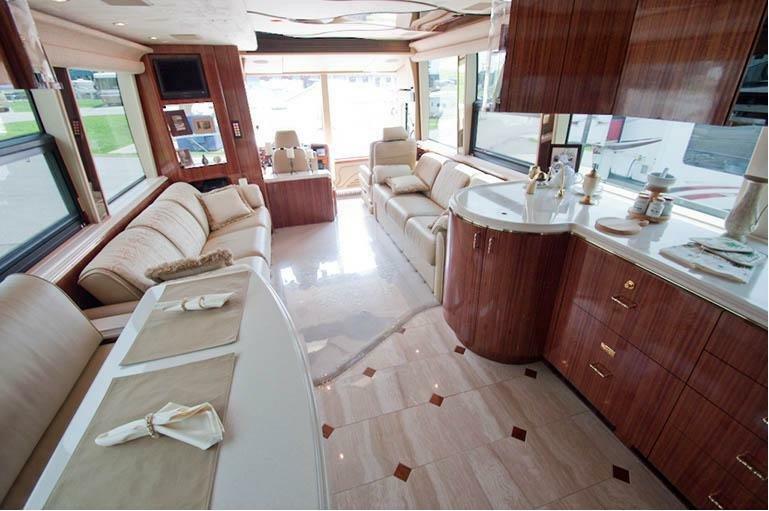 A set of new interior colour schemes were developed for the 2008 model year to provide a modern feel. 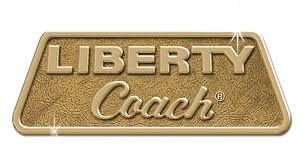 There are three “trim levels” ranging from fabric to leather and wood. 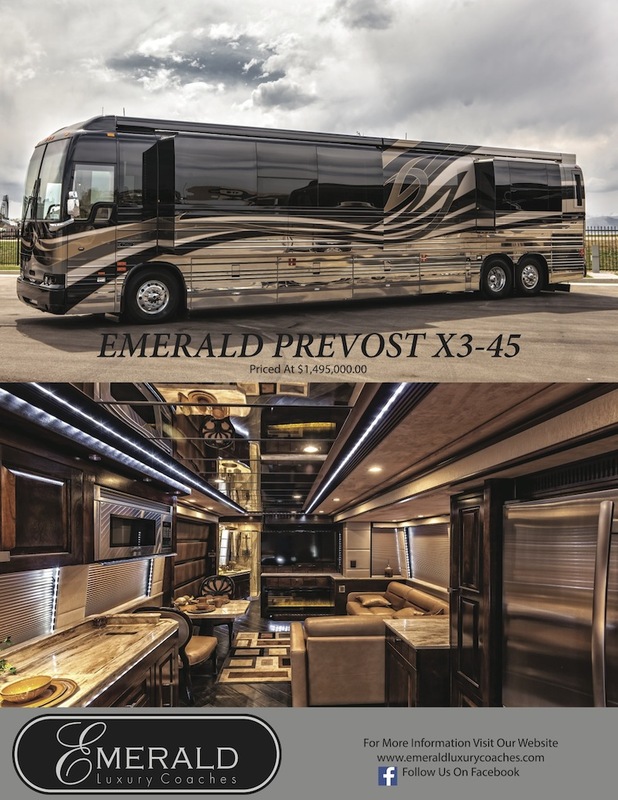 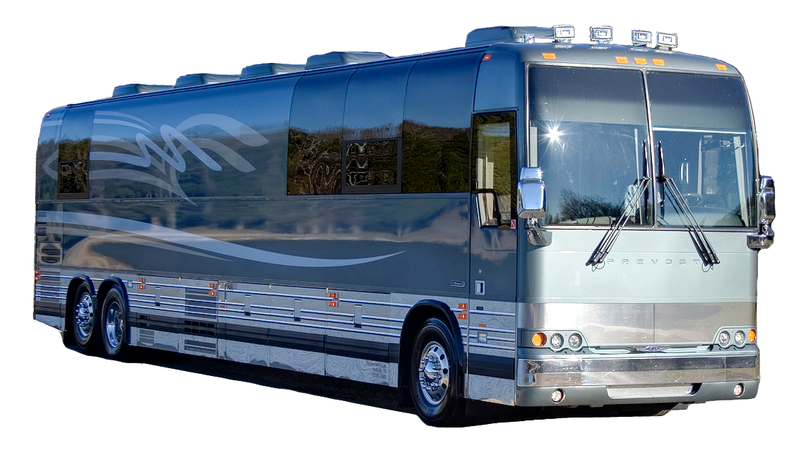 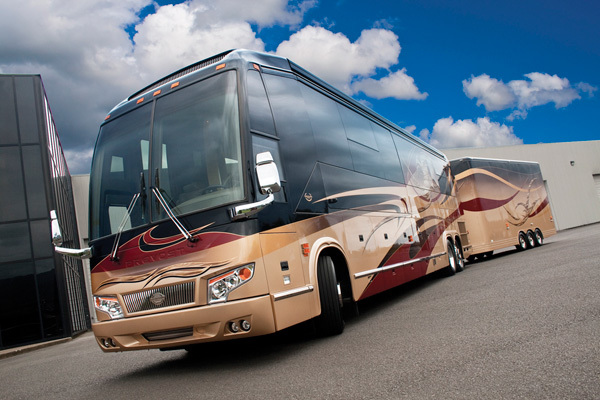 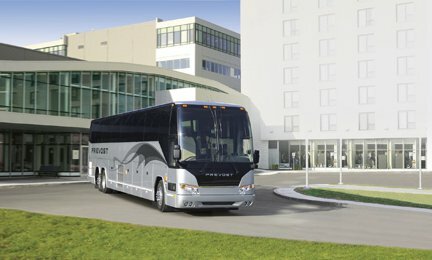 Beginning with 2011, the Prevost X3-45 is available in a transit configuration, with bi-fold doors instead of a sedan-type door. 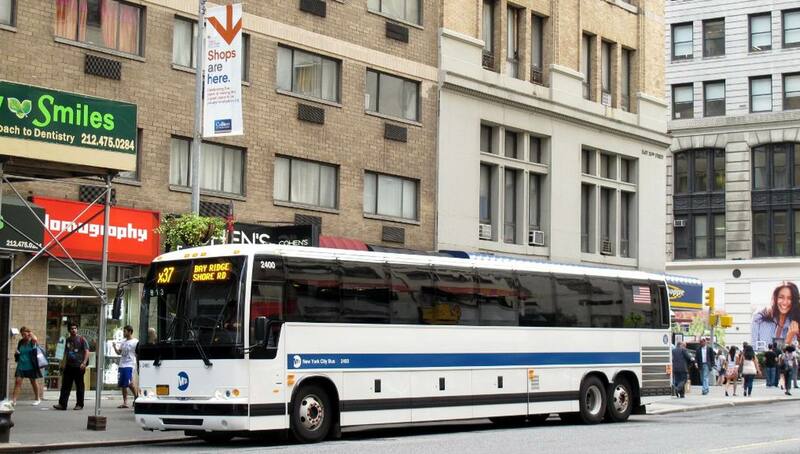 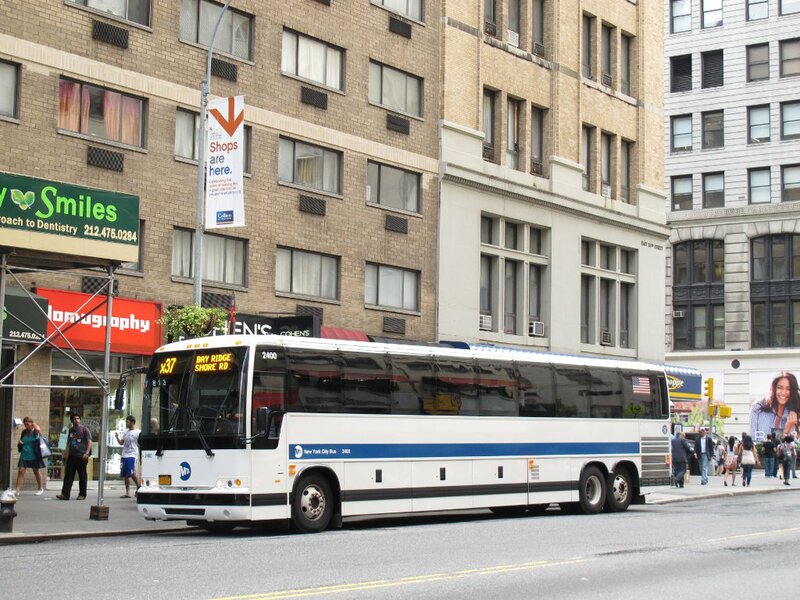 The New York City Transit Authority is the launch customer for this configuration. 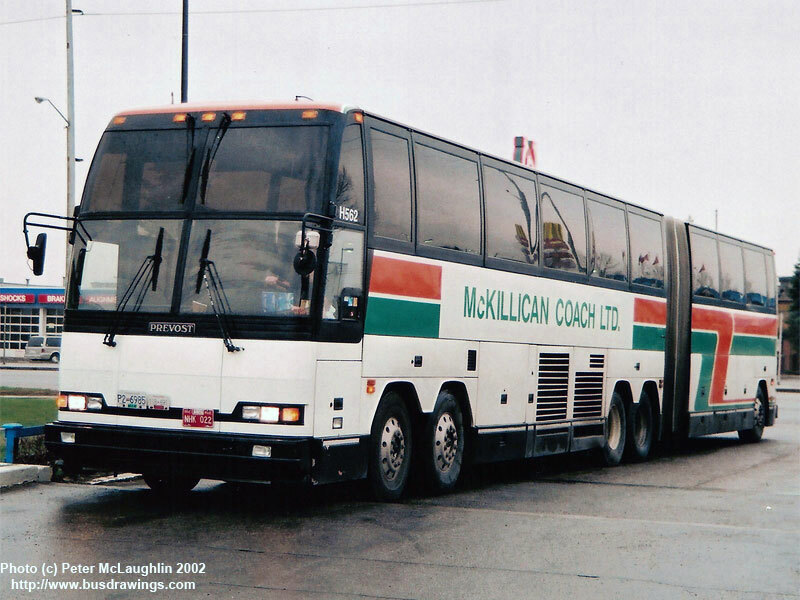 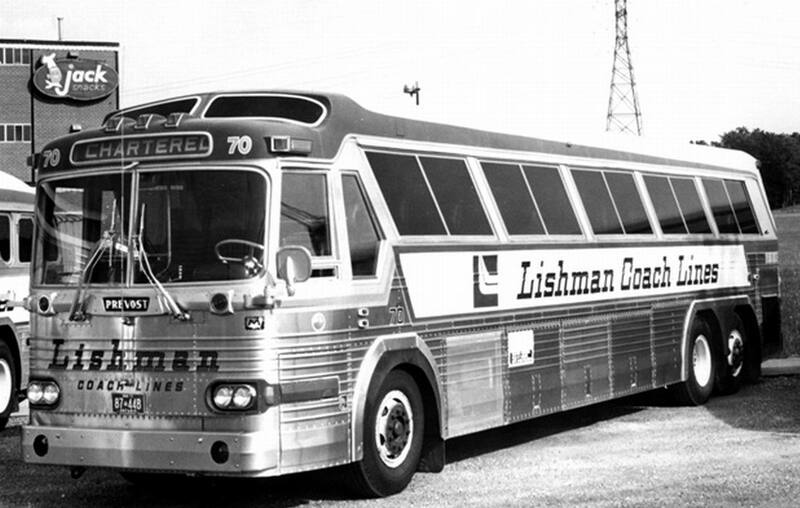 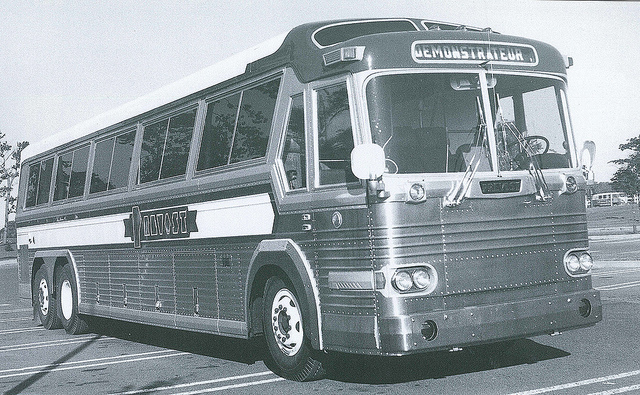 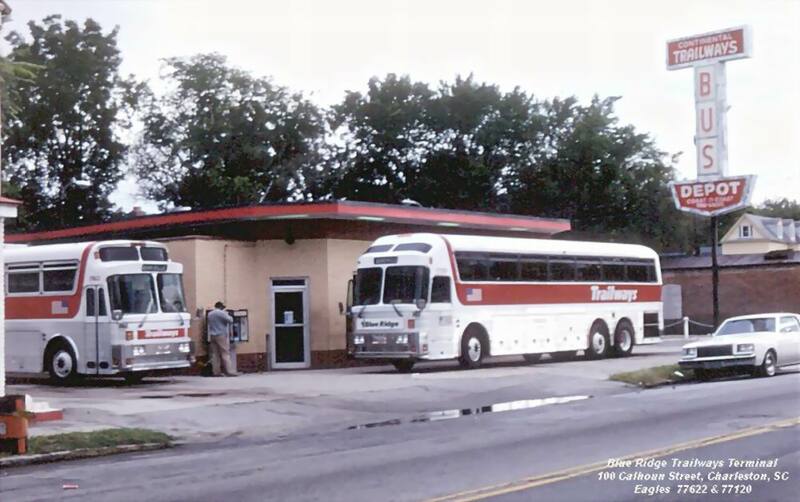 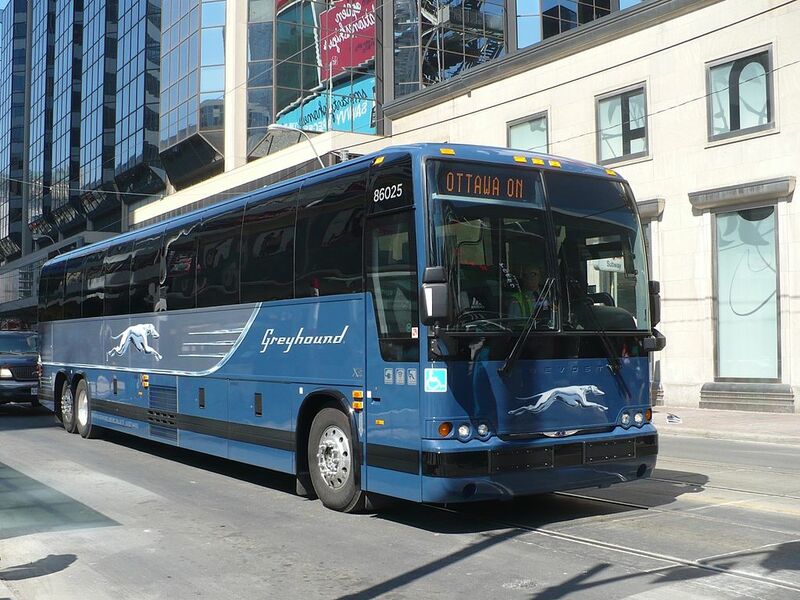 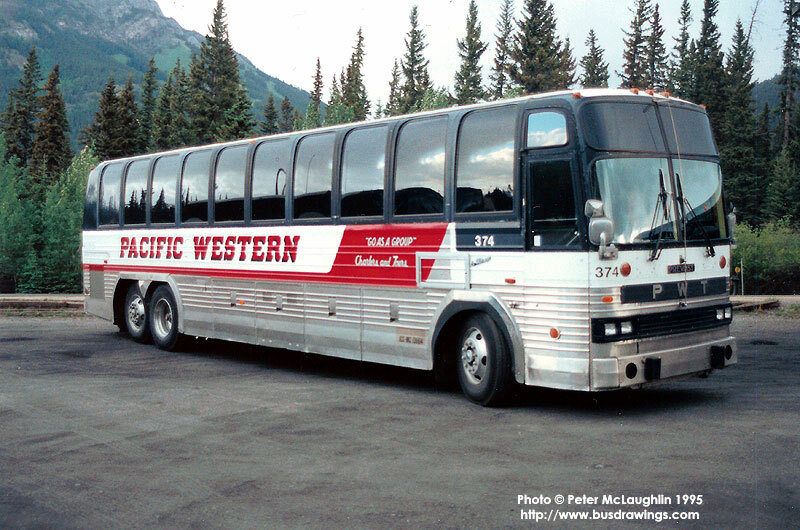 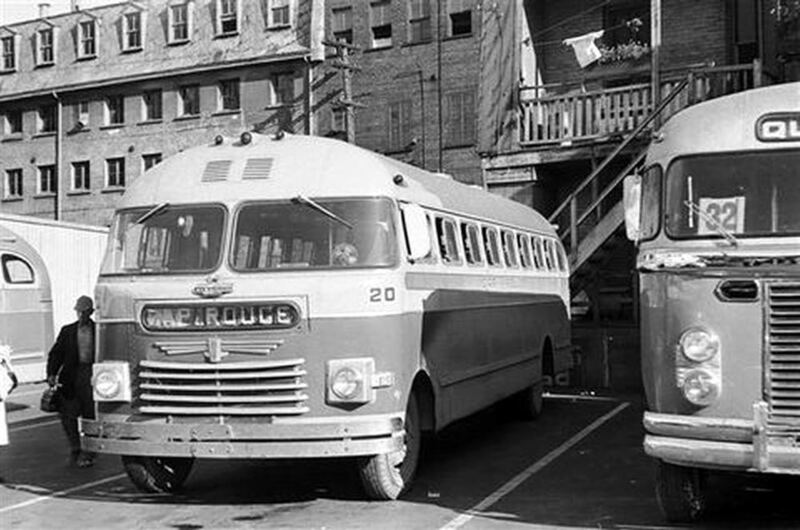 Previously, 20 transit-style buses in the LeMirage predecessor model had been built for GO Transit in the late 1990s. 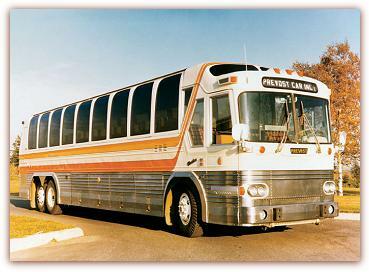 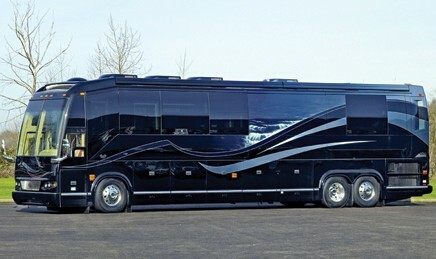 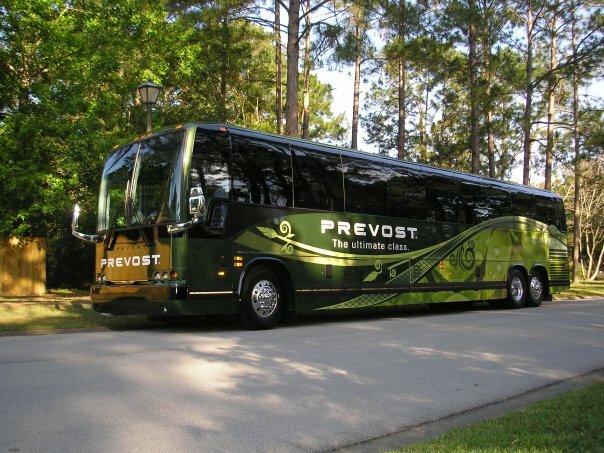 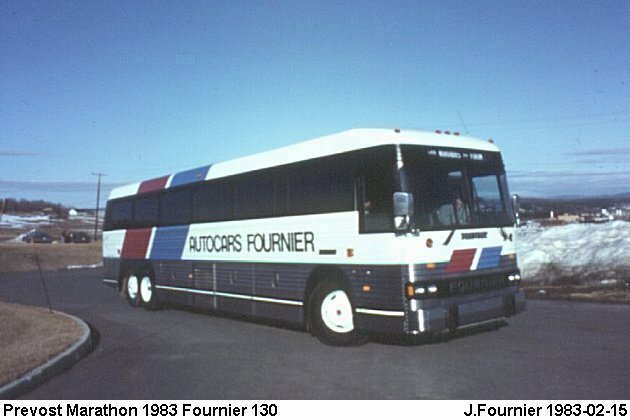 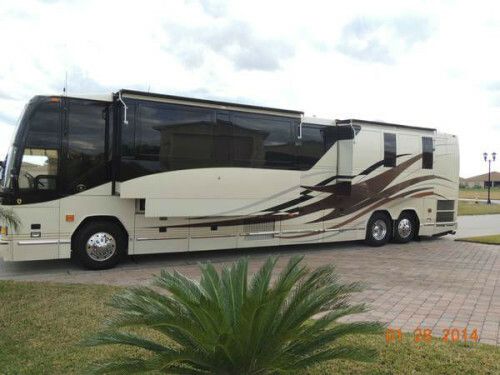 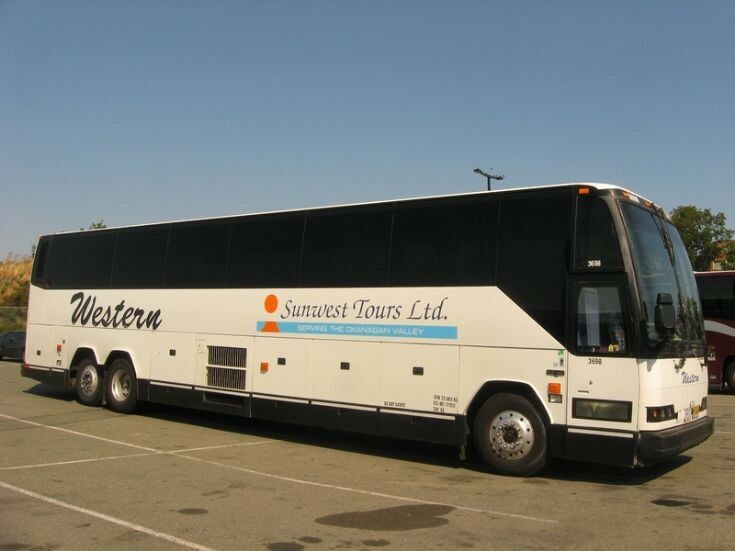 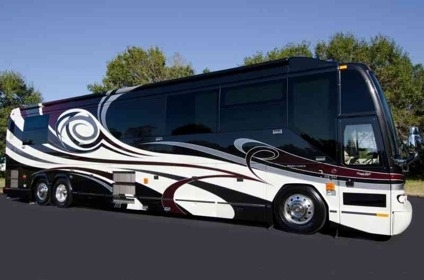 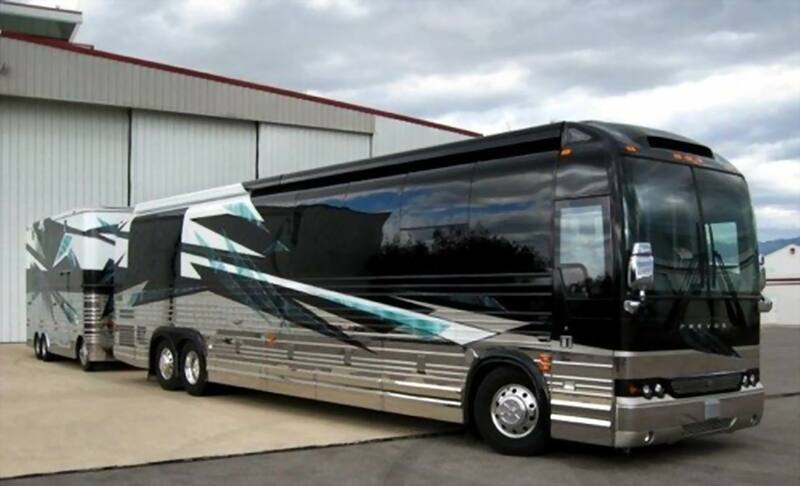 Prévost is also the North American builder of the Volvo 9700 motorcoach. 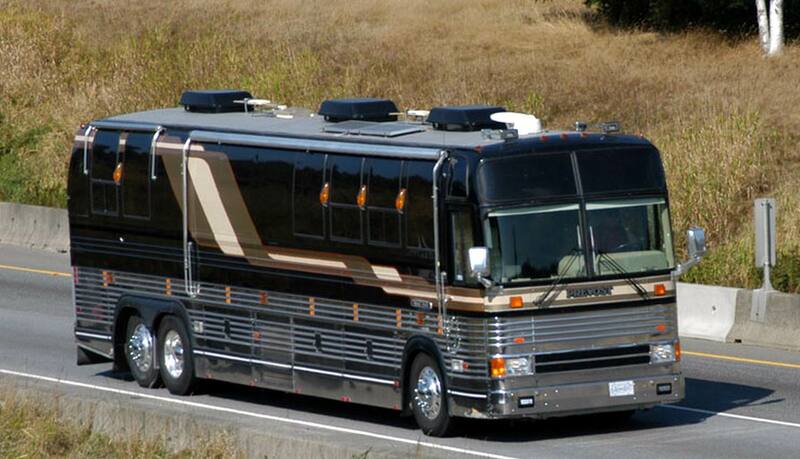 Ground Force One is the nickname given to the modified X3-45 shells used by US President Barack Obama. 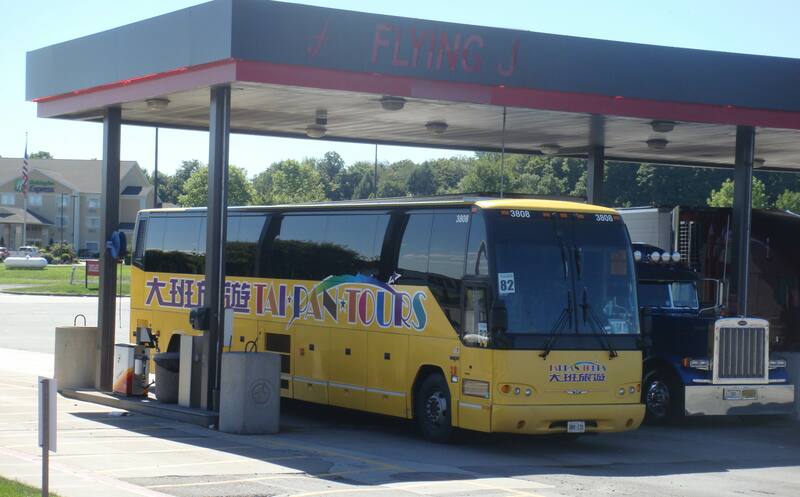 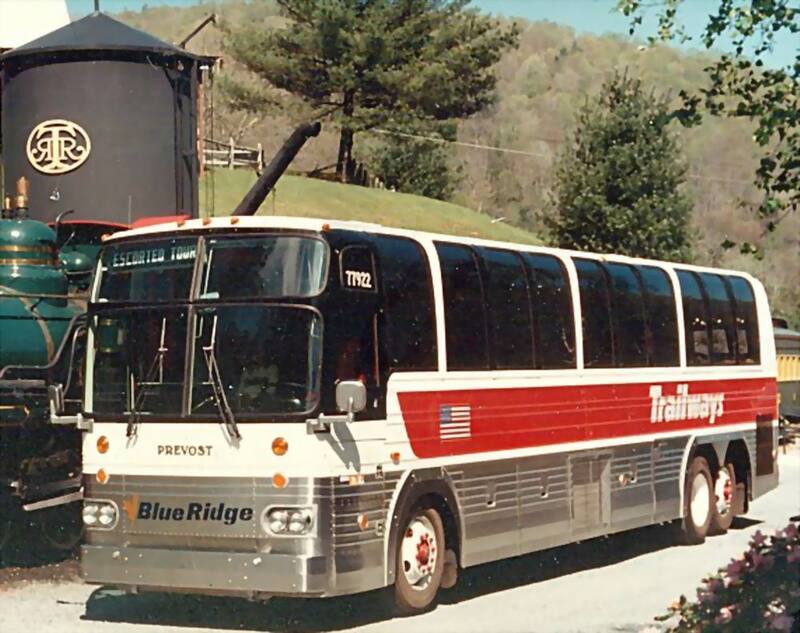 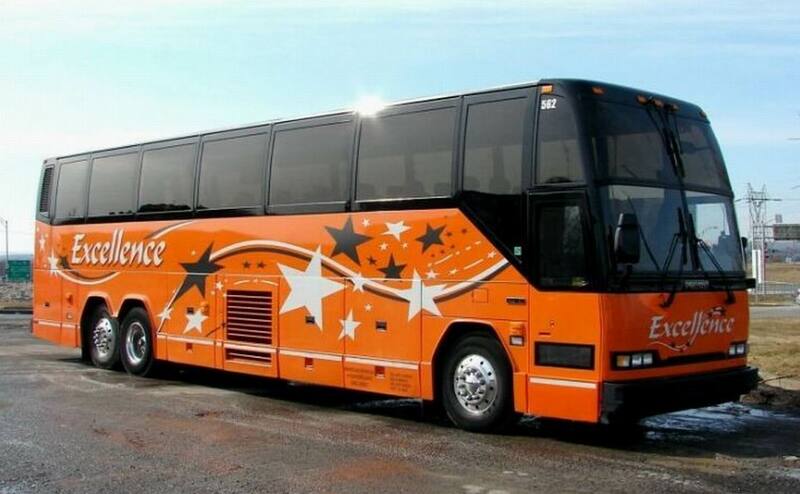 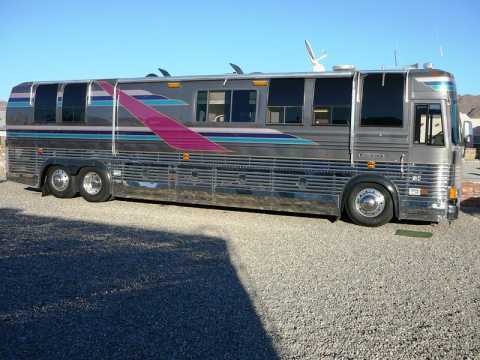 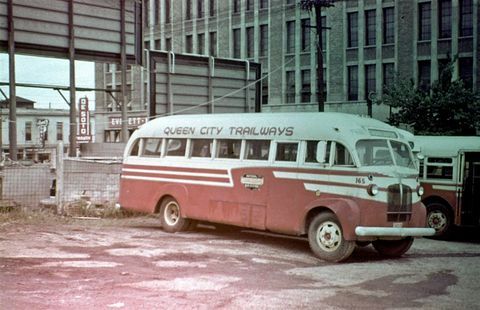 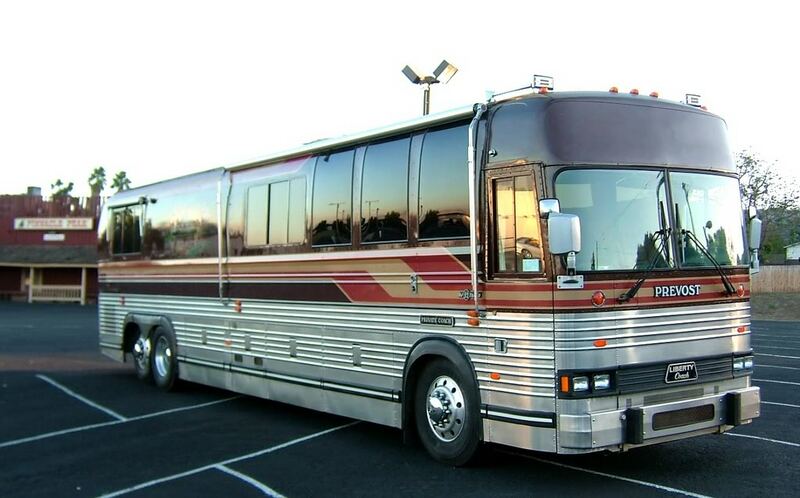 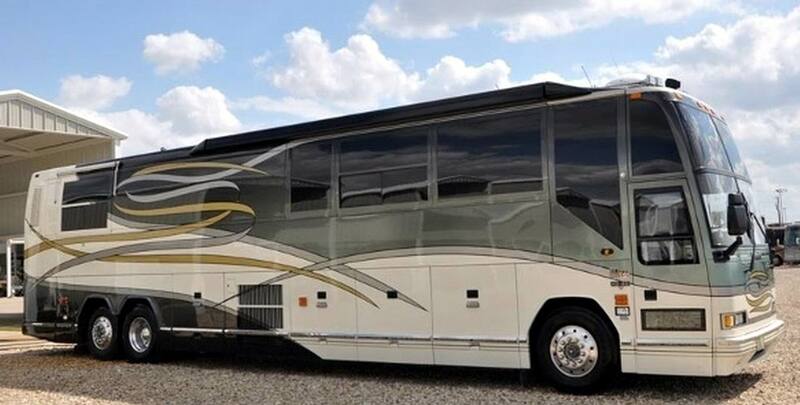 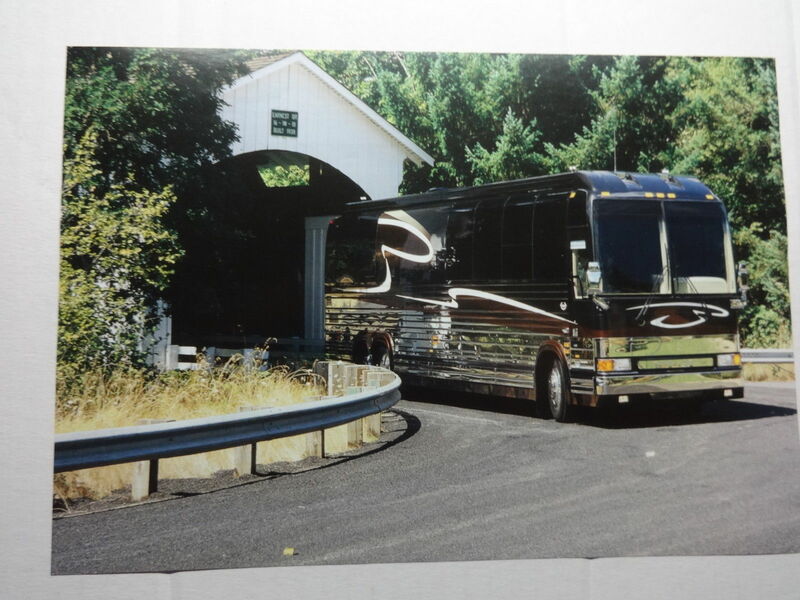 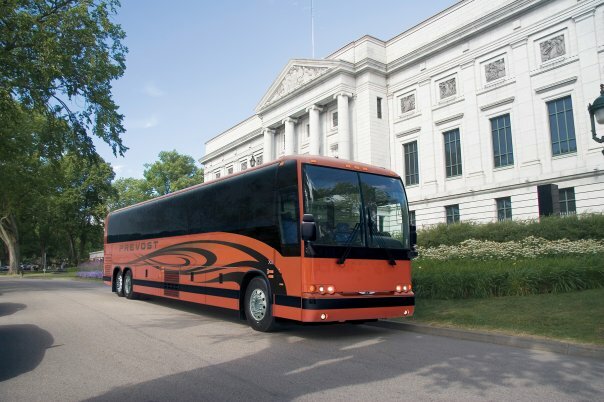 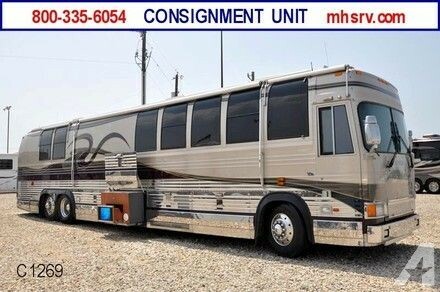 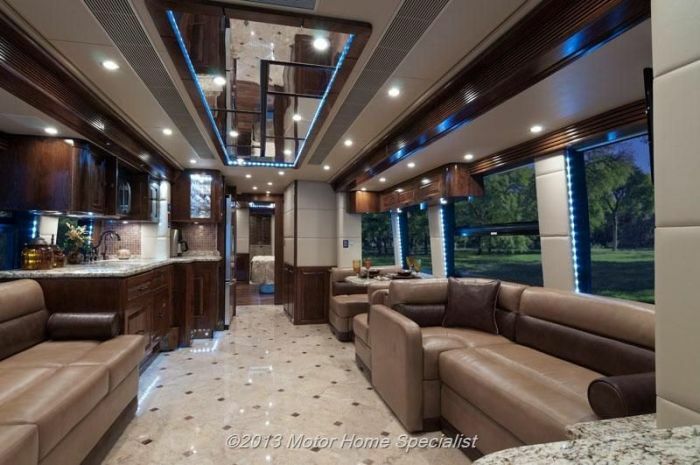 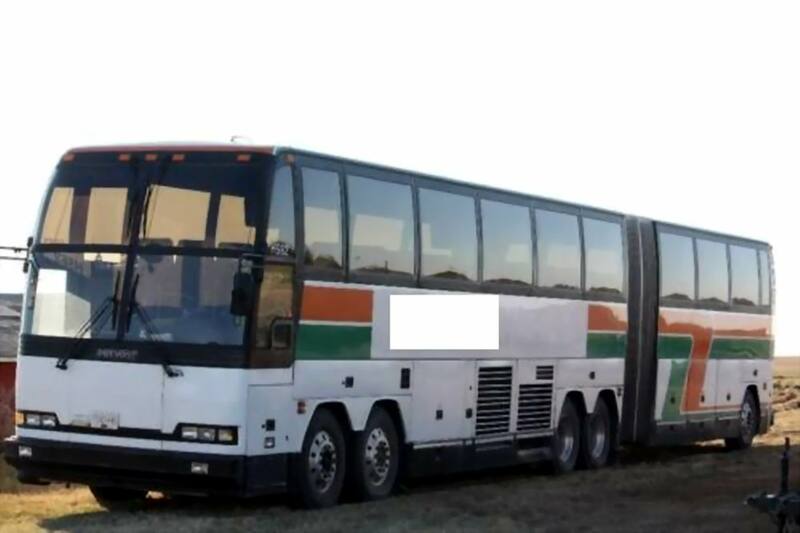 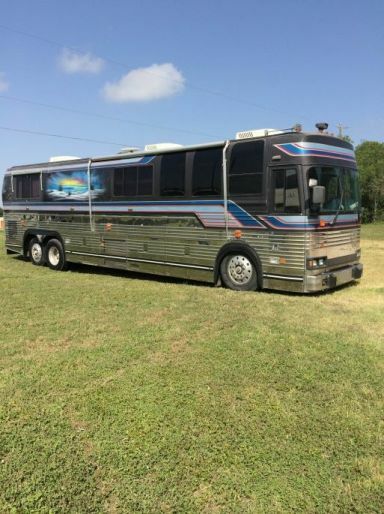 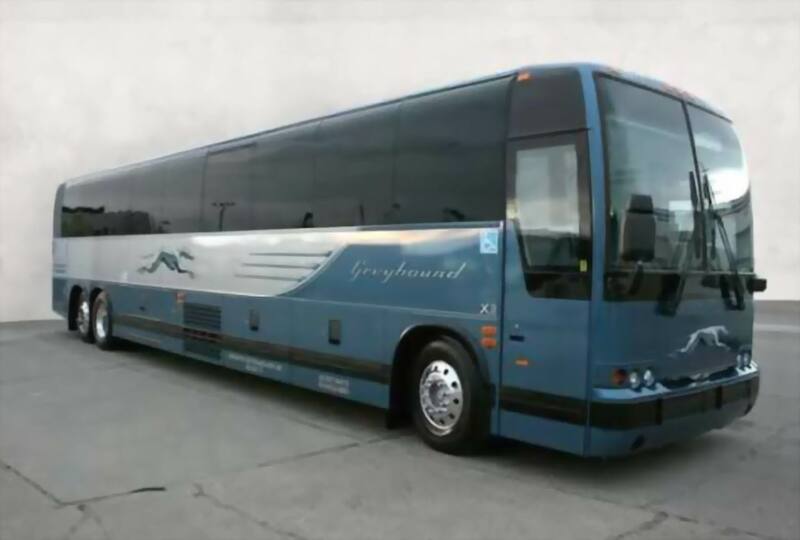 The interiors were fitted out by Nashville, Tennessee-based Hemphill Brothers Coach Company and it is assumed that other features were added by the US Secret Service. 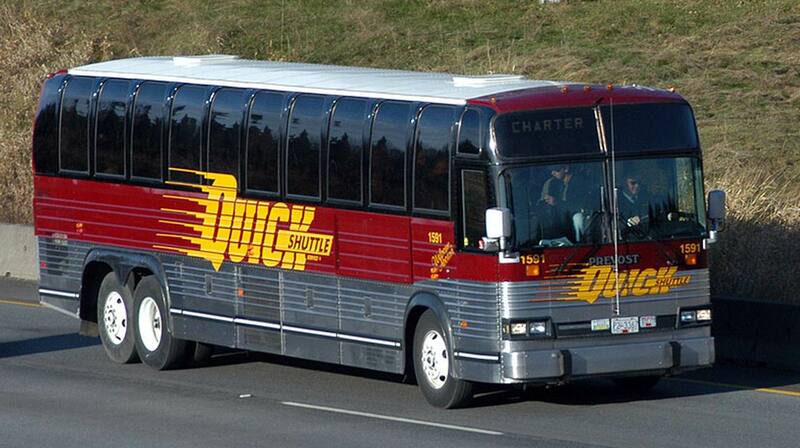 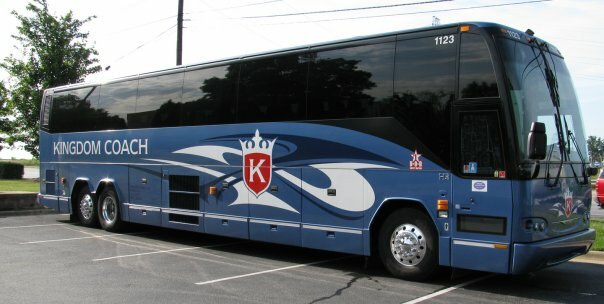 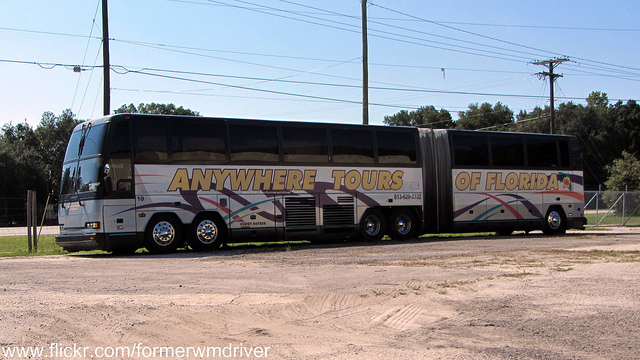 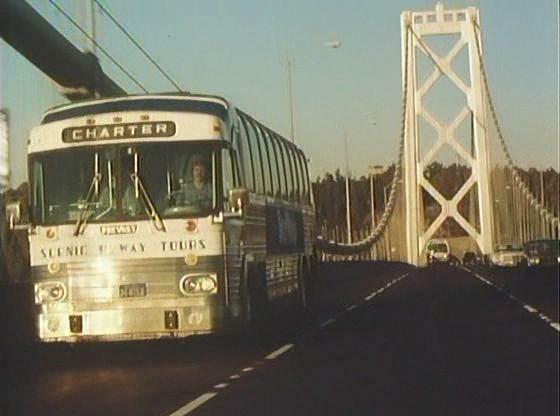 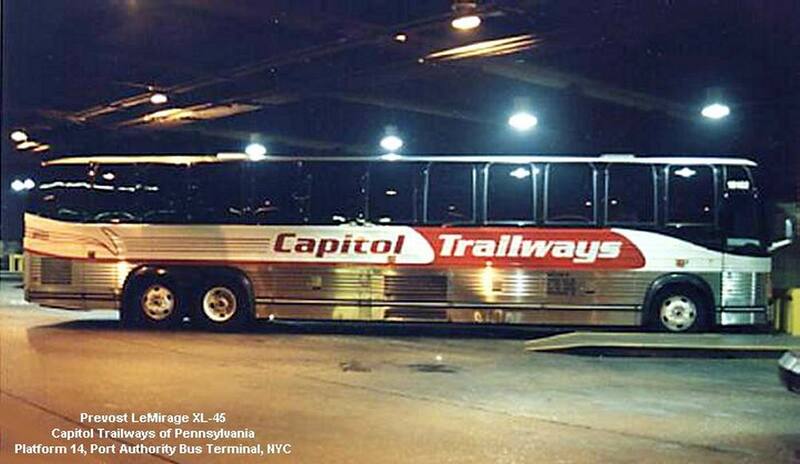 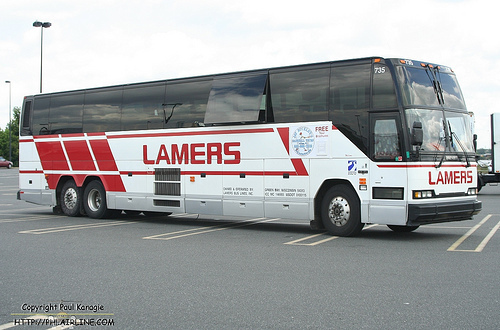 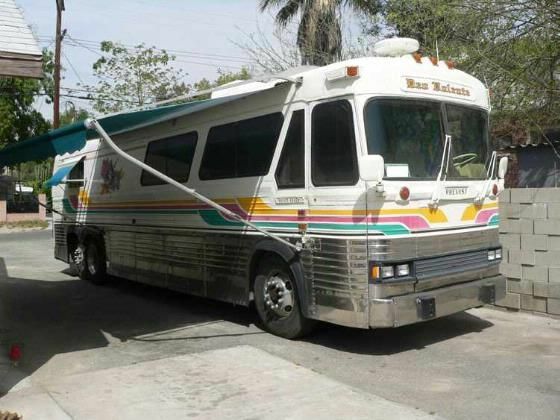 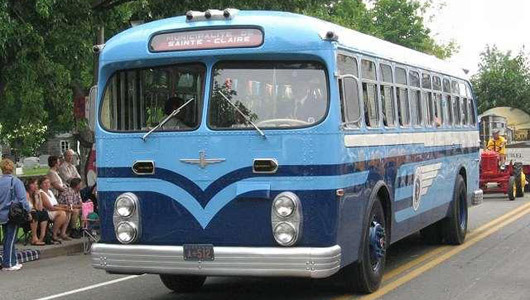 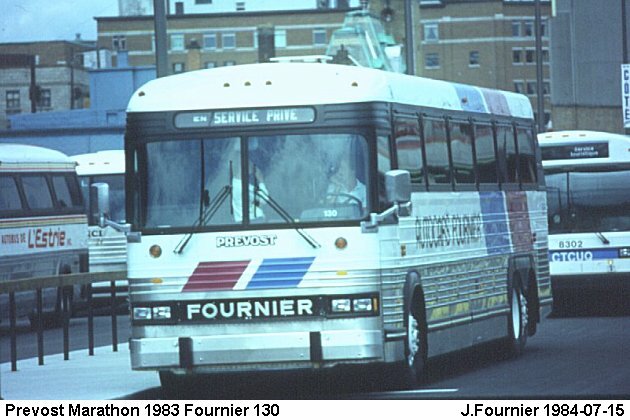 A similar bus with a Prévost shell (when the model was known as the LeMirage XL-II) was used by then-President George W. Bush in the 2004 Presidential campaign. 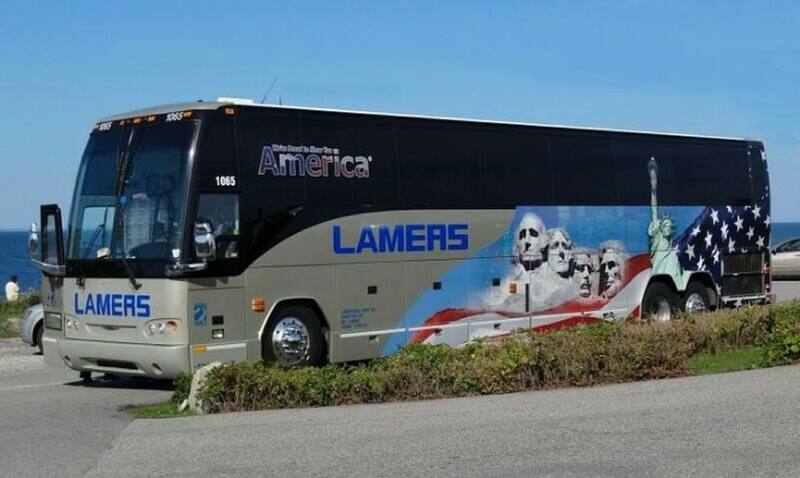 You can definitely see your expertise in the paintings you write. 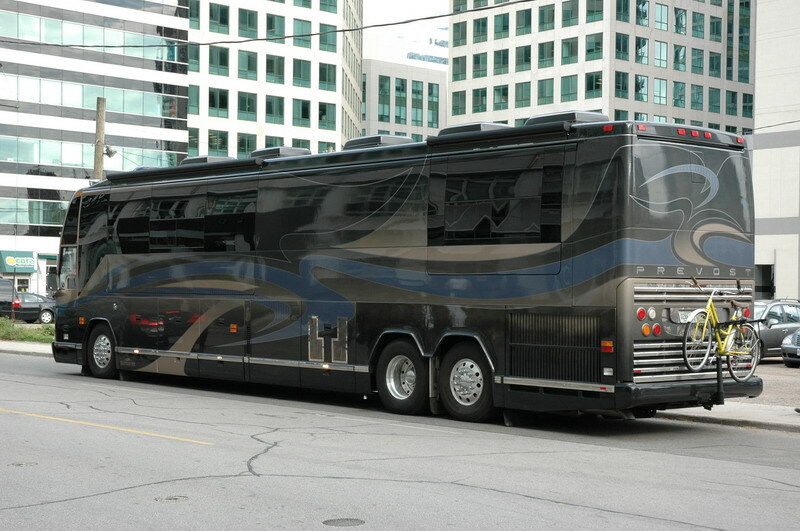 The sector hopes for more passionate writers like you who are not afraid to say how they believe. 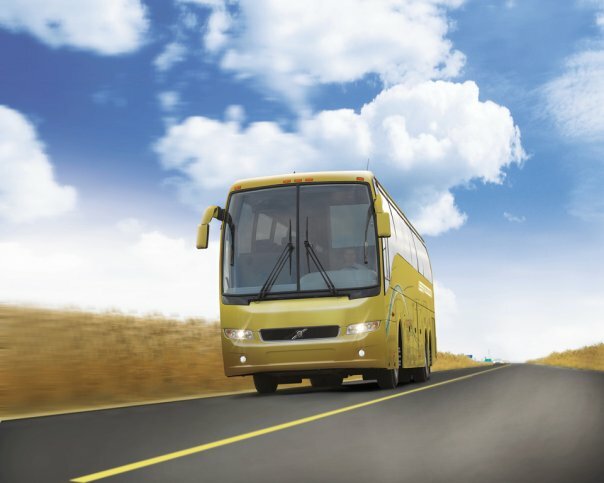 At all times follow your heart. 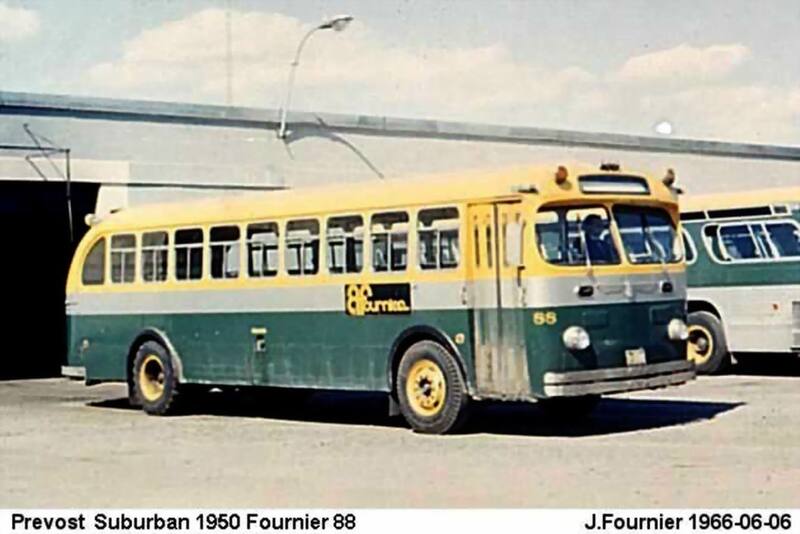 Jeroen, from one bus and travel enthusiast to another, I wish you God’s miracles, blessings, and practical outworkings of His glorious mercy. 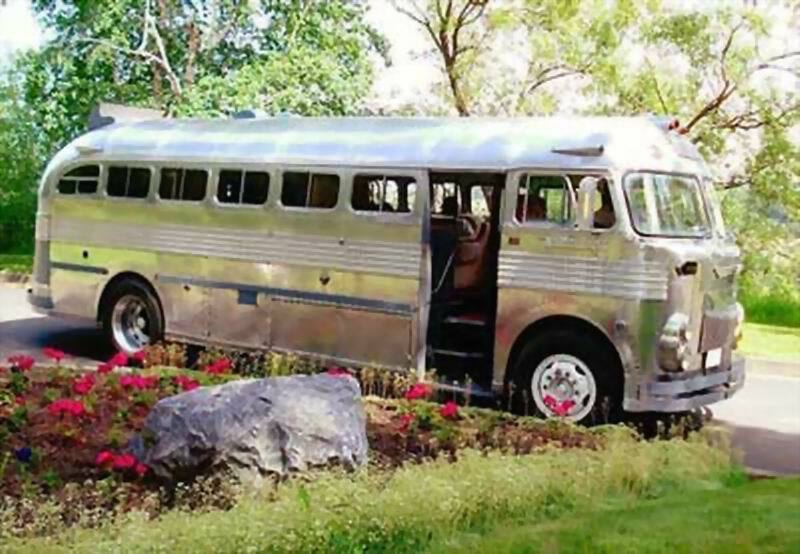 May you find recovery and health that you did not believe was possible. 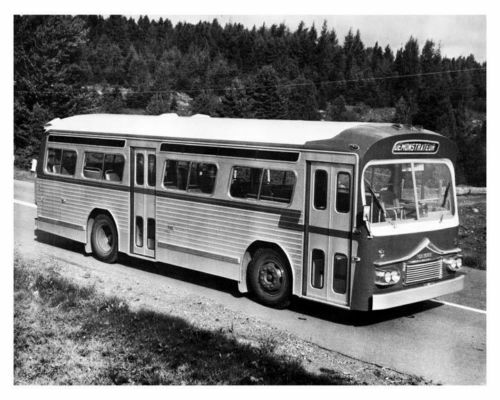 I was wondering if it would be alright for me to use one of these pictures in my book, please? 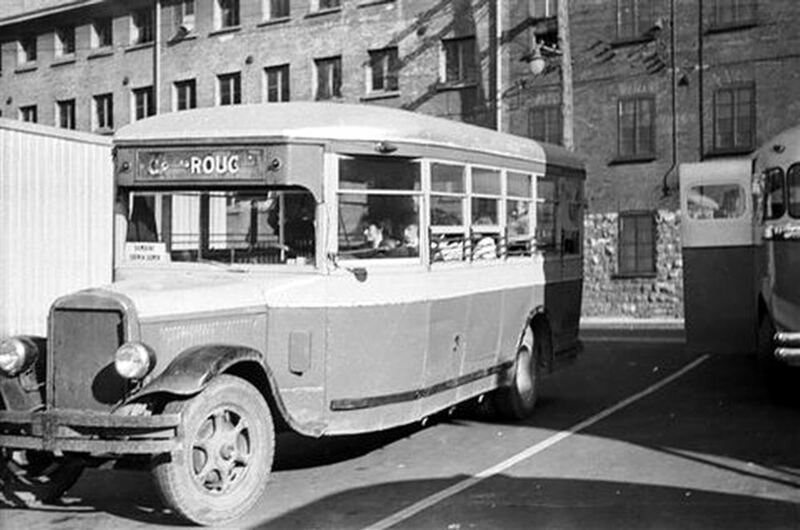 The picture is the Charabanc with the Manchester signpost. 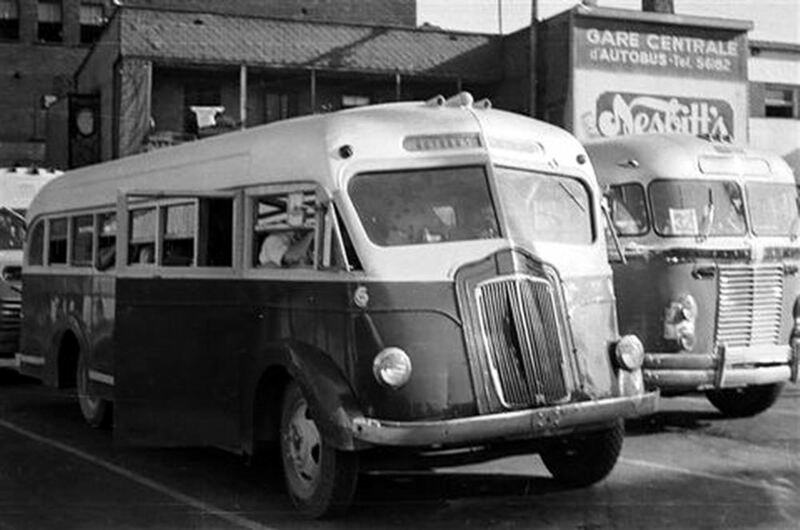 I am writing an historical drama and the first half in based in Newton Le Willows and features Manchester during the Blitz. 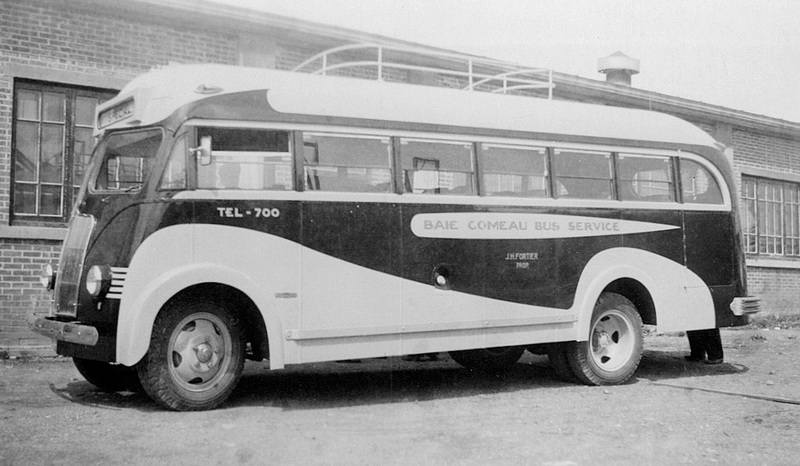 The second half of the book is based in Mombasa. 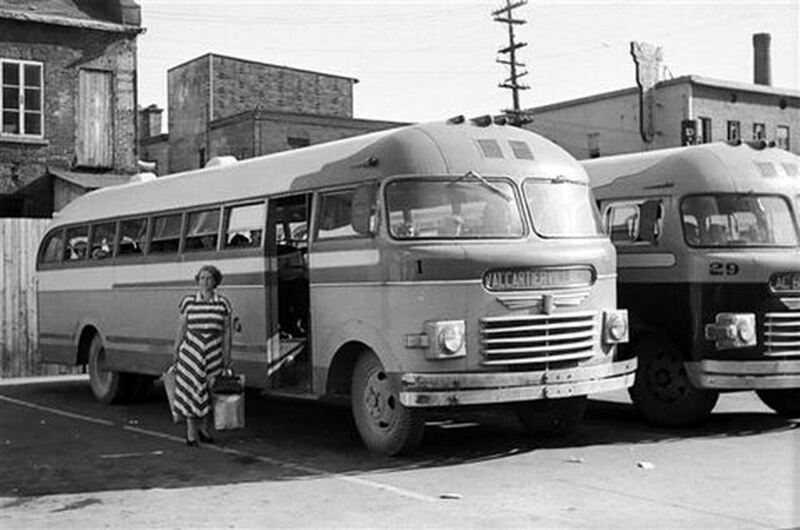 The story is inspired by a woman I met in Mombasa who dedicated her life to helping the Kenyan people who came into the Coast General (free) hospital in Mombasa. 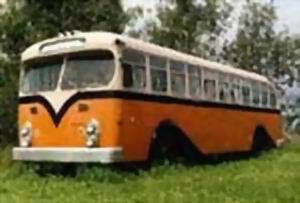 To carry on her good works I am donating 50% of all sales to the Barnabus Trust Outreach Mombasa. 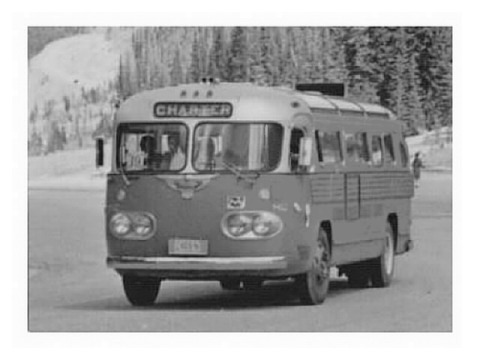 If I could use this picture as a small icon picture within one of the chapters that would be marvelous and help people to visualize what a charbanc was. 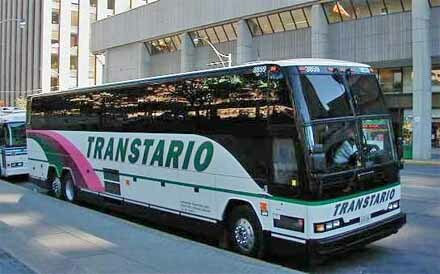 Hello tracy, I feel honeured that you will use this picture. 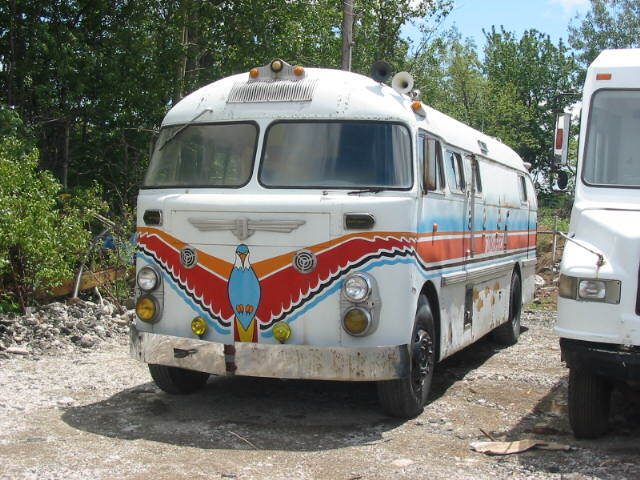 I feel more than OKË with this. 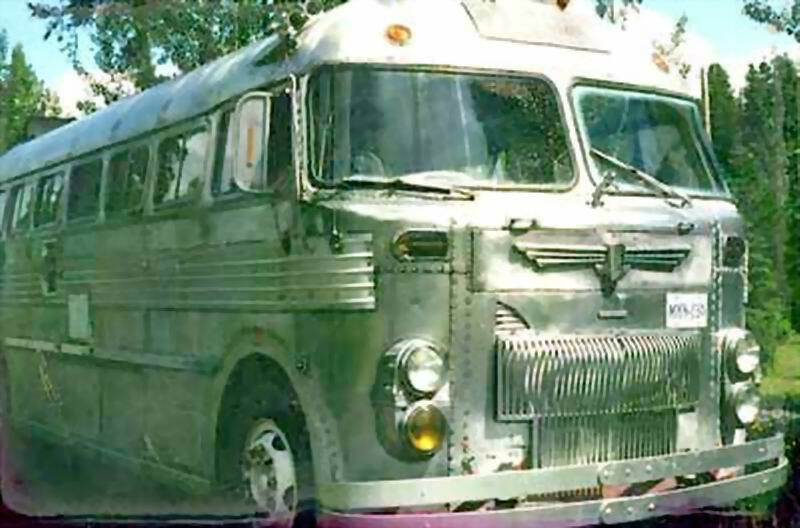 I would like when you make a picture when it’s used in the book so I can see how you show it. 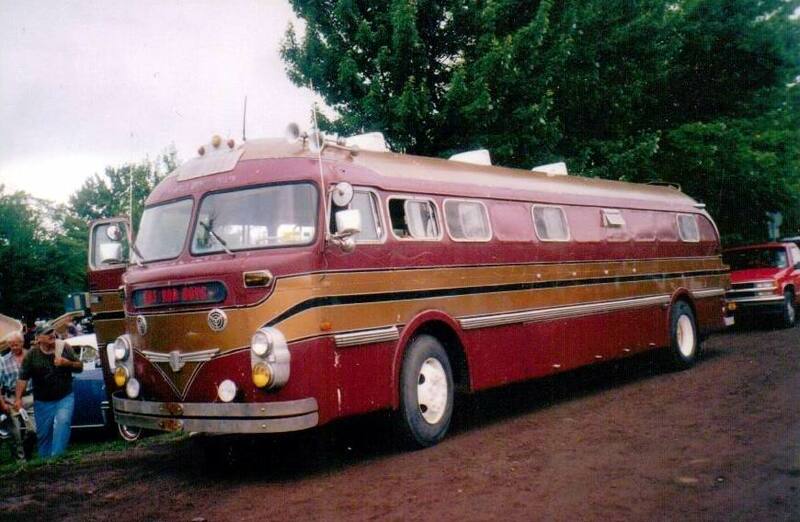 Succes and greetings from the Netherlands. 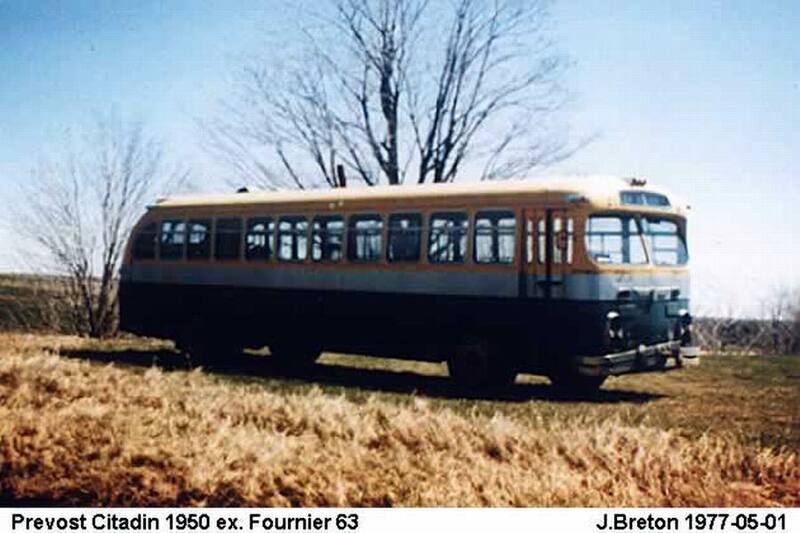 Jeroen.